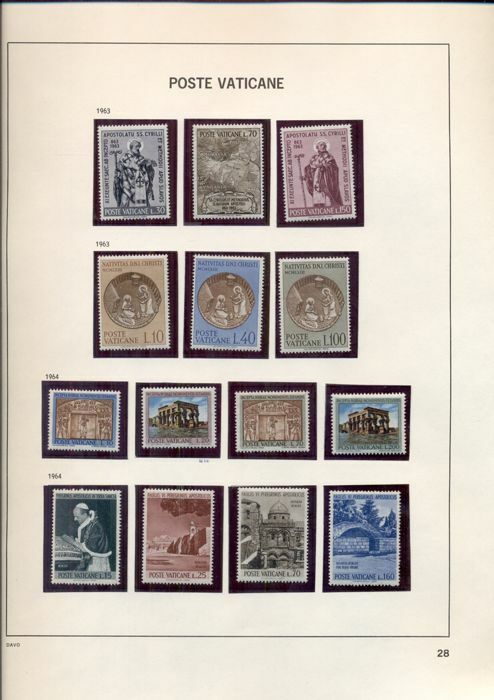 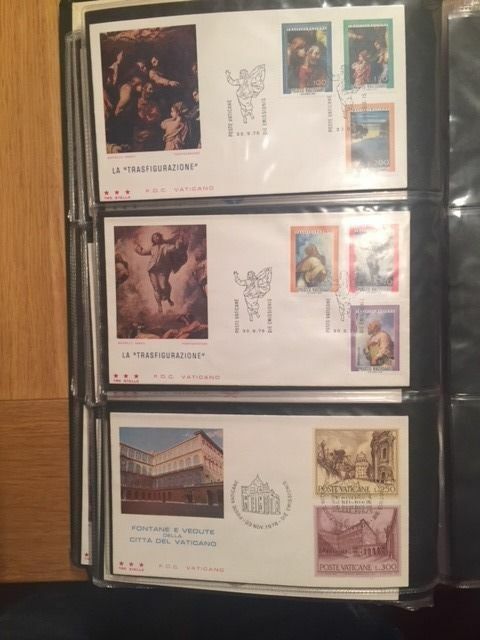 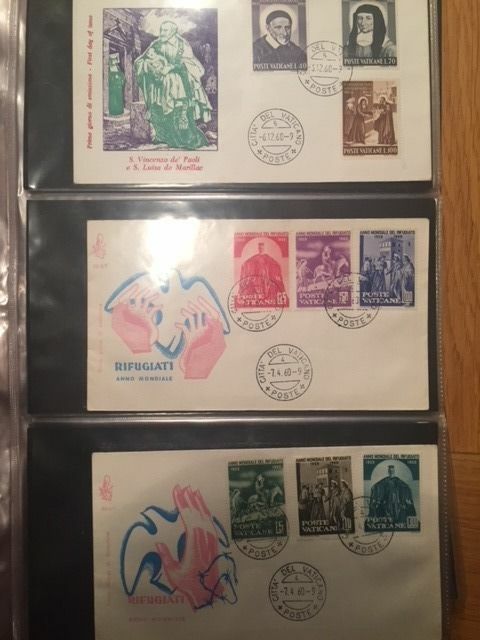 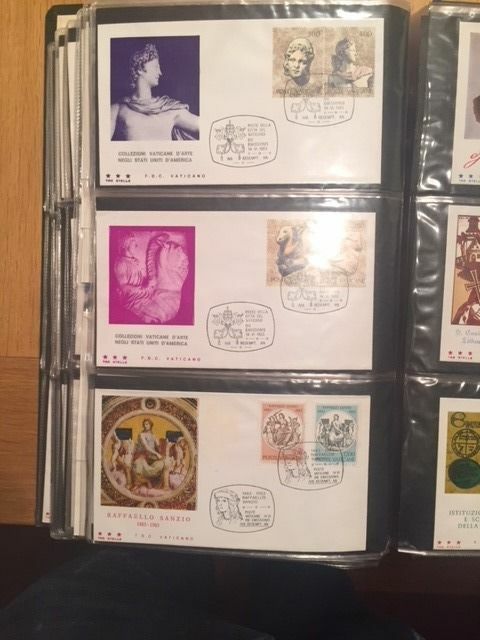 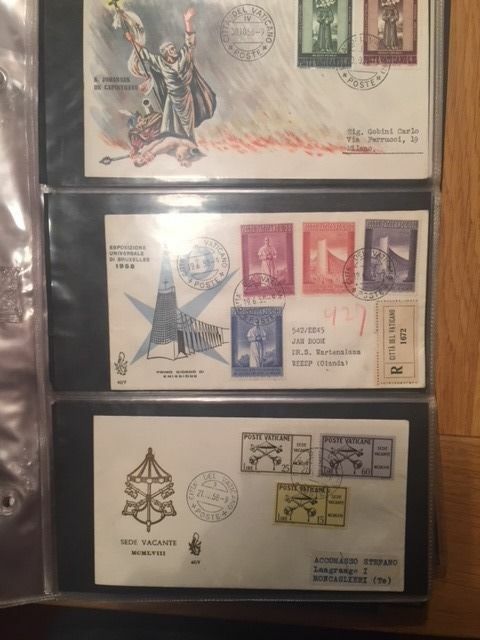 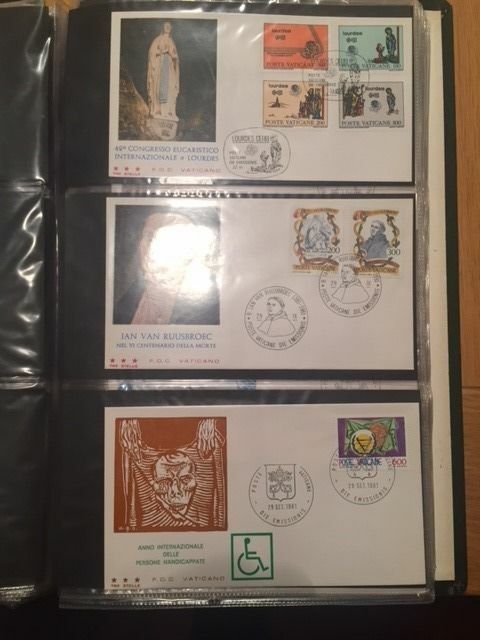 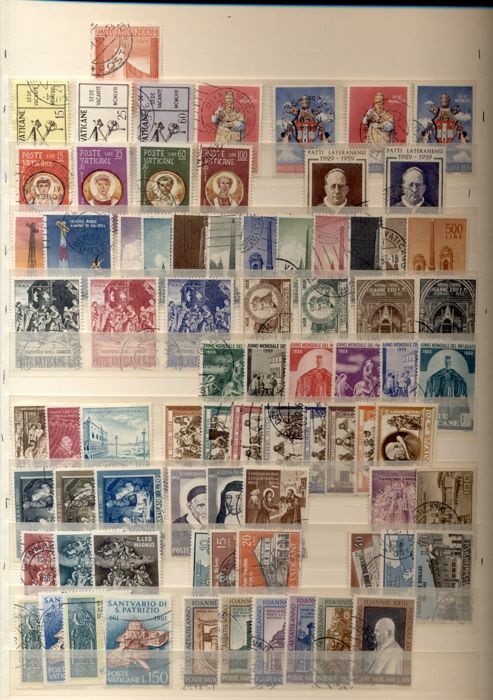 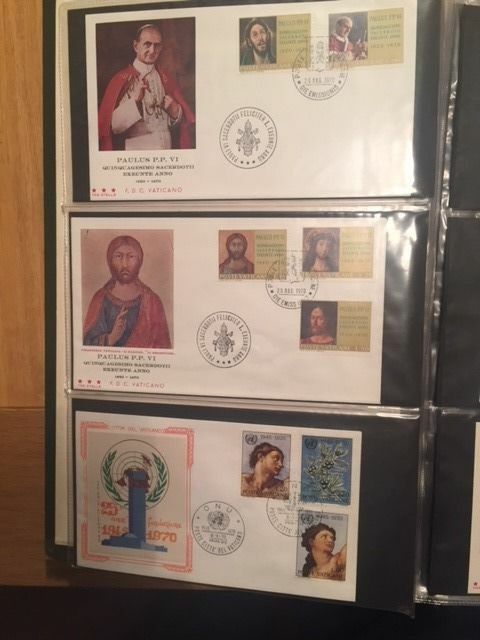 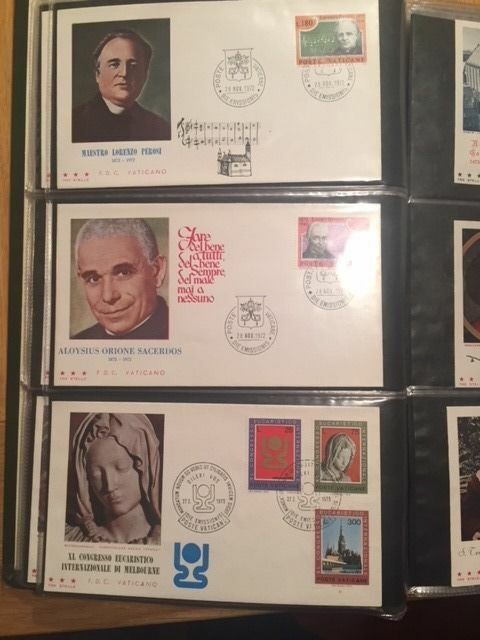 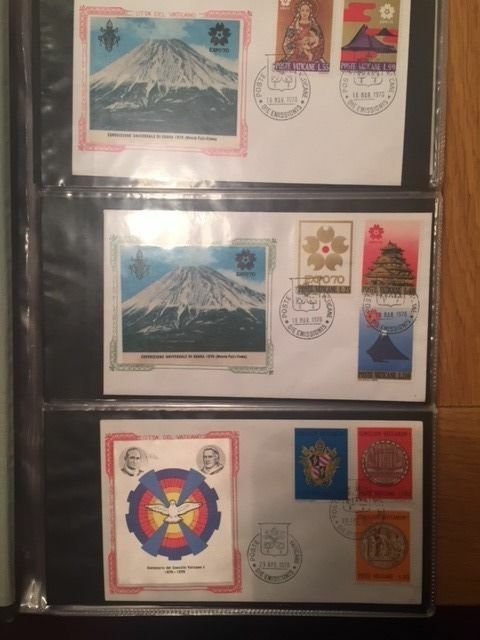 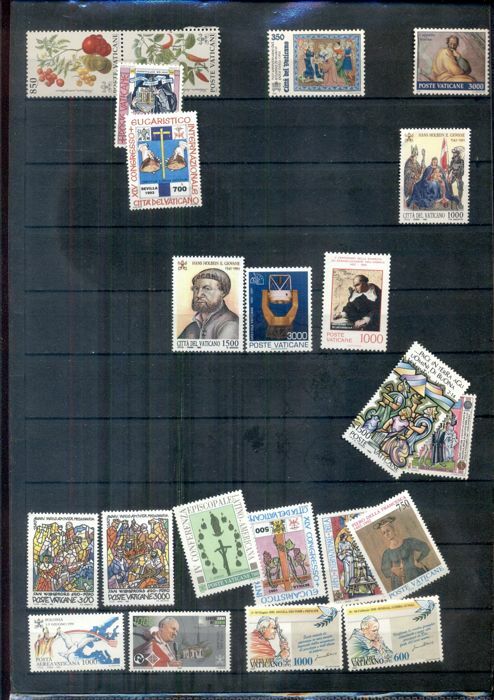 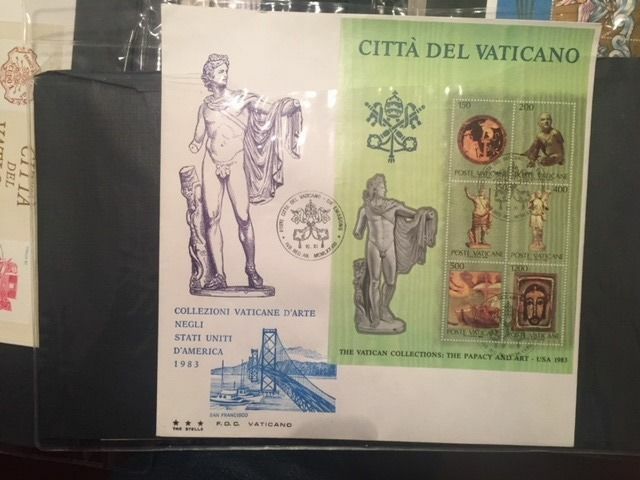 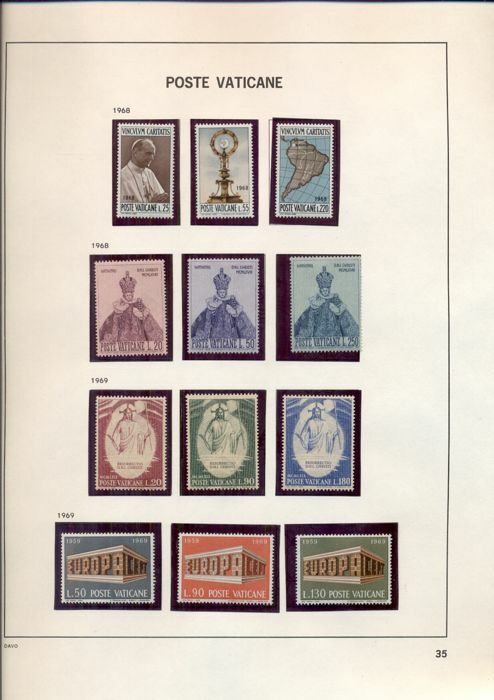 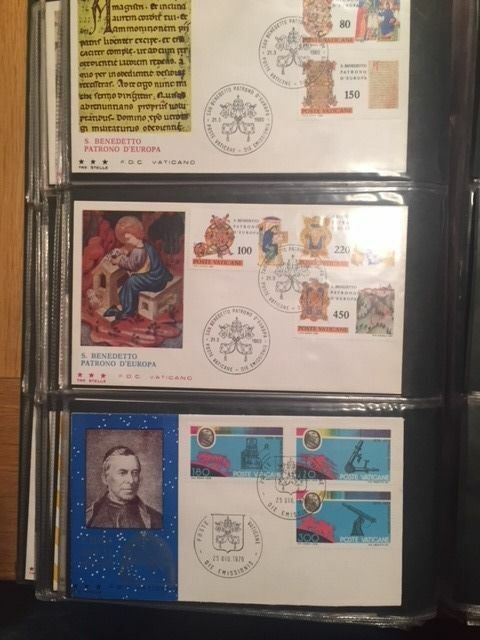 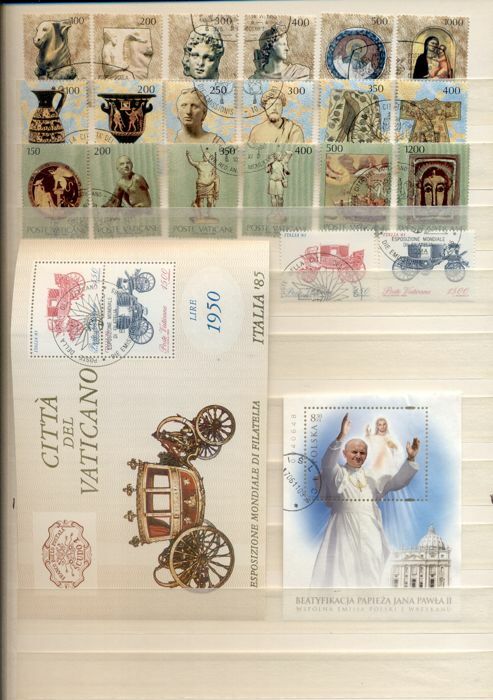 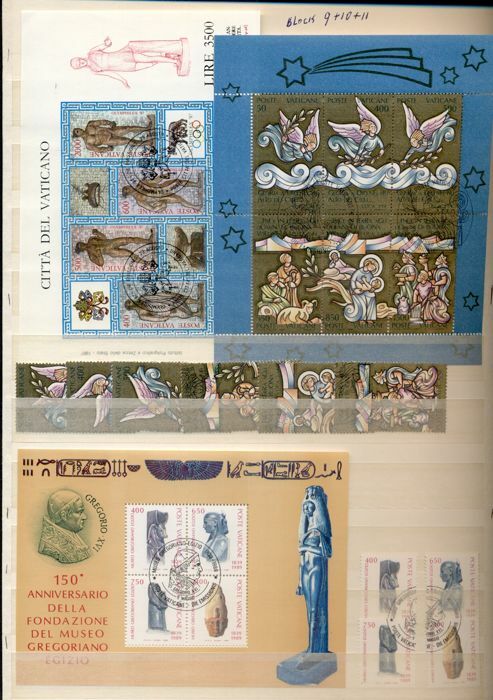 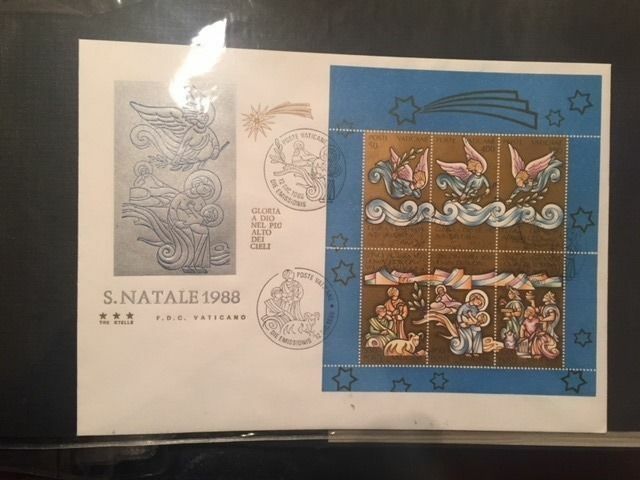 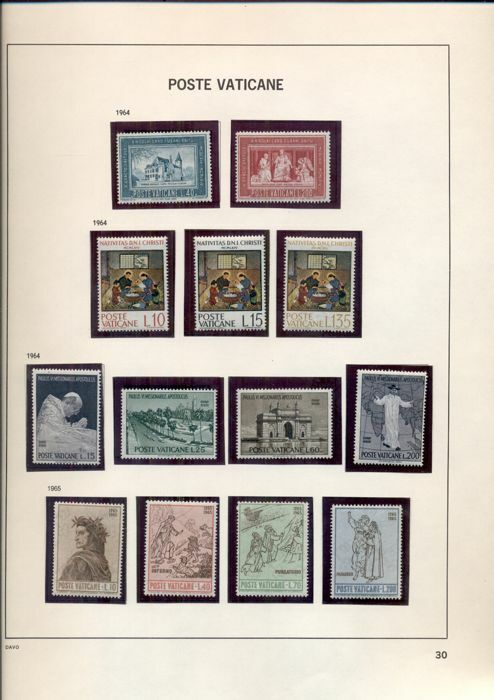 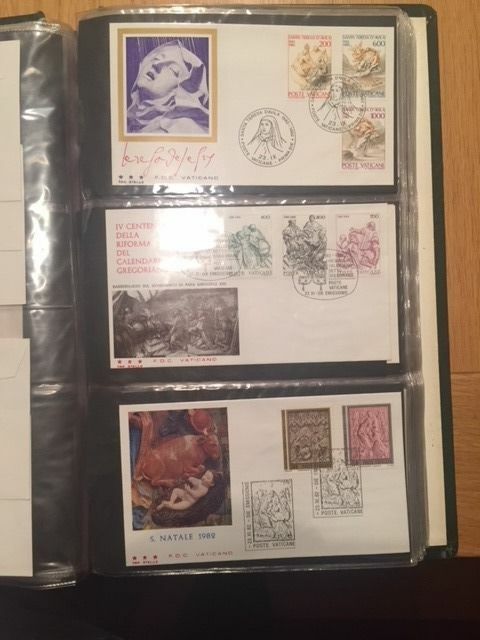 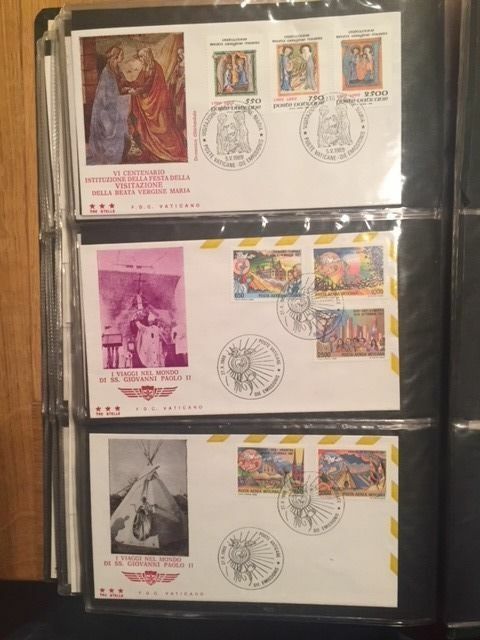 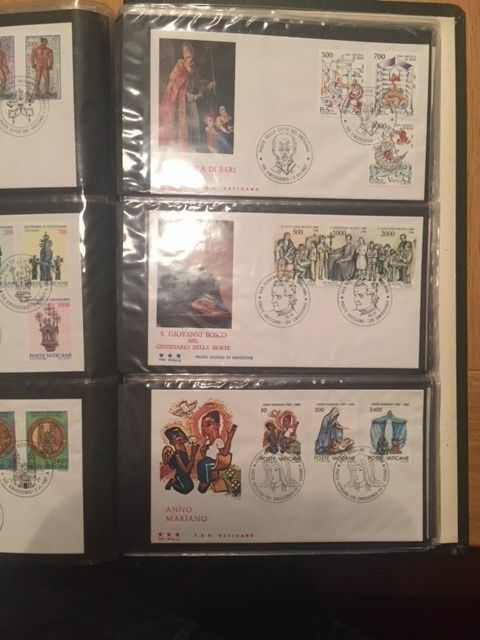 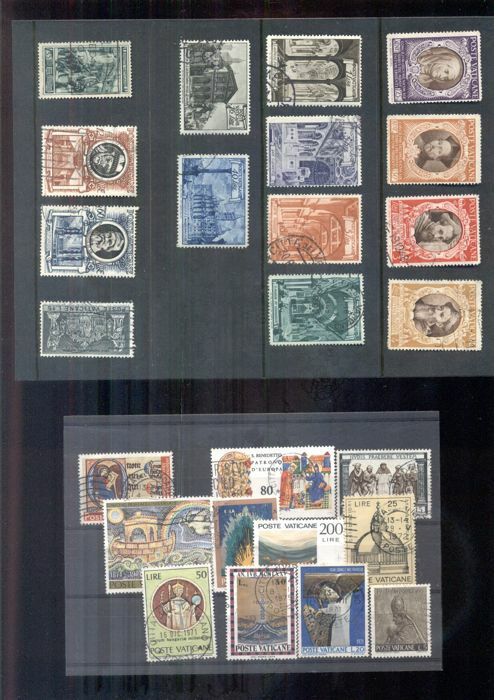 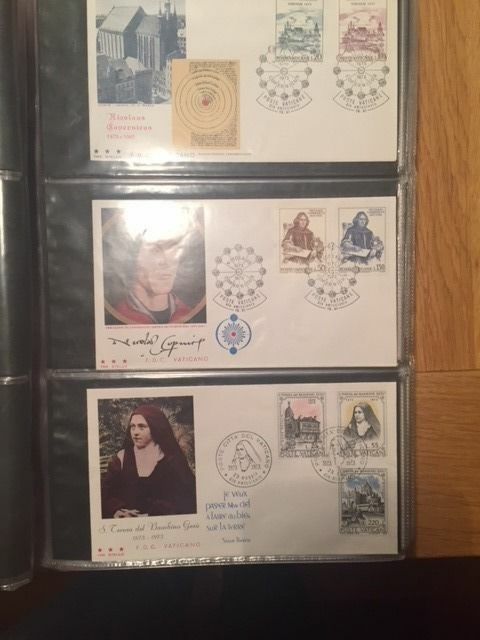 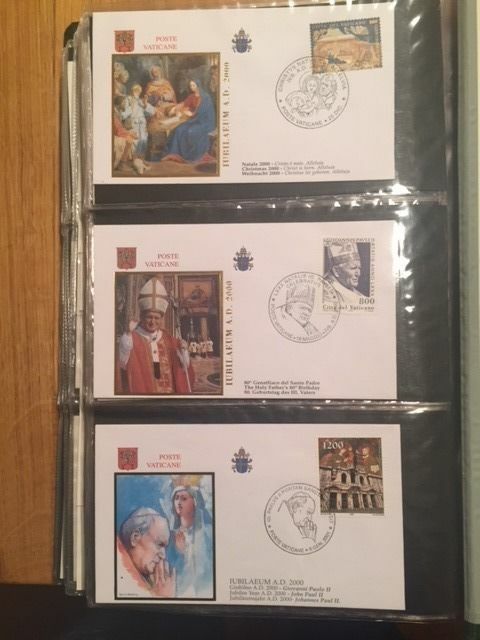 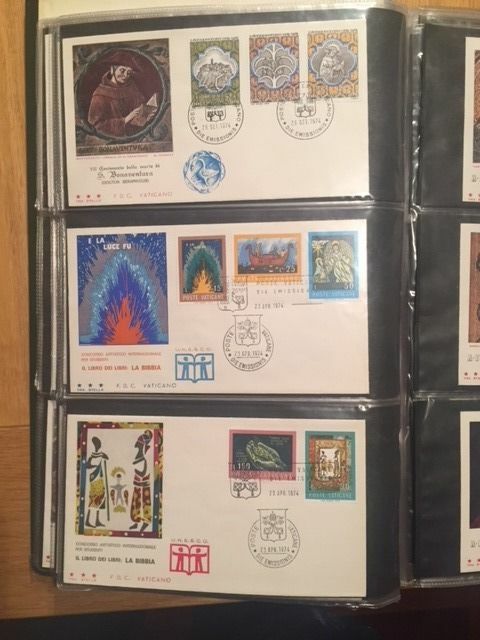 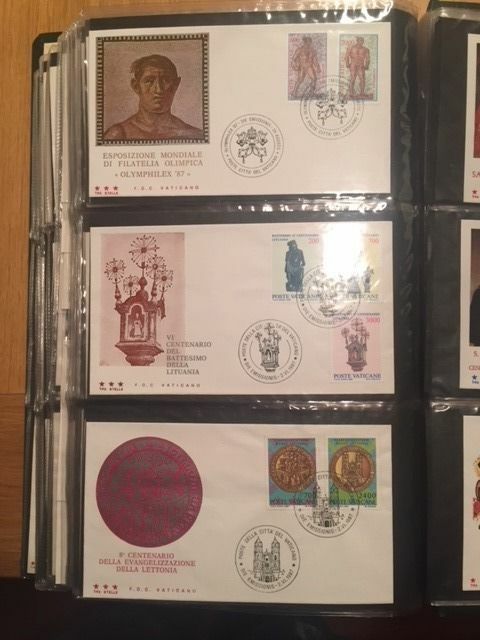 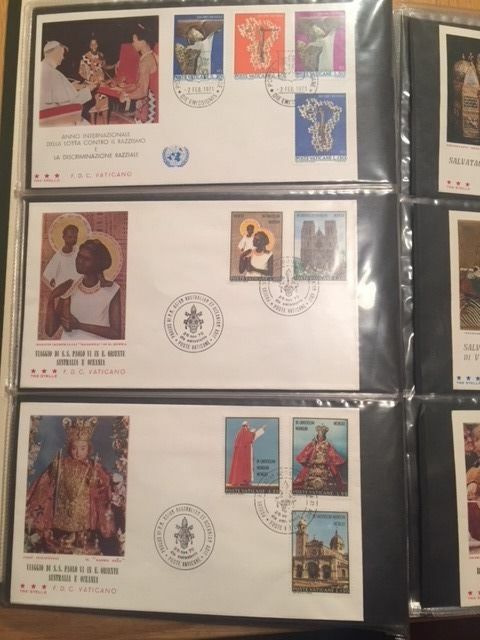 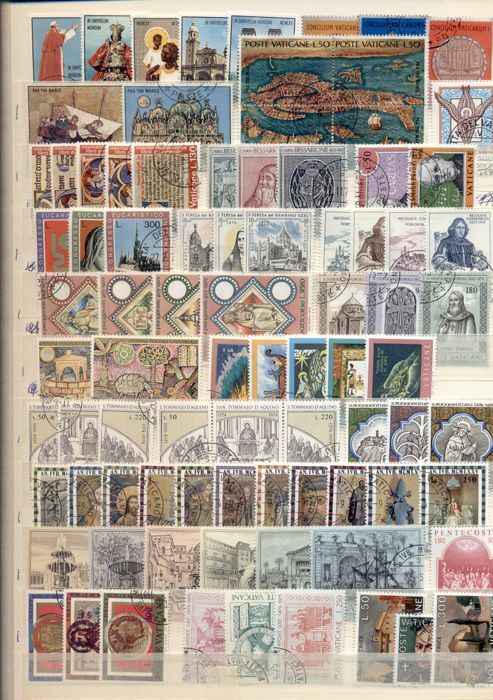 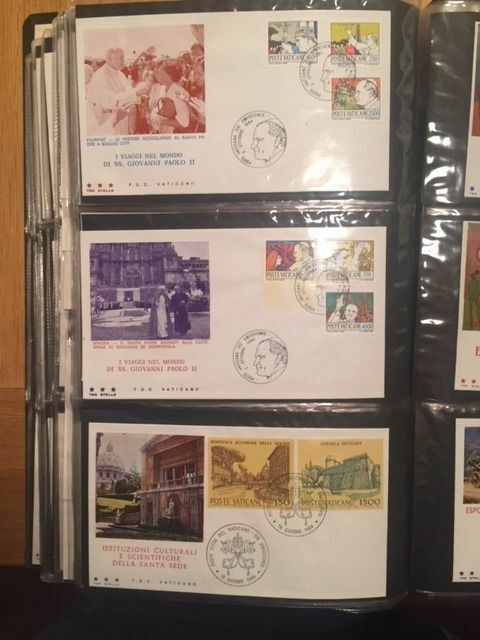 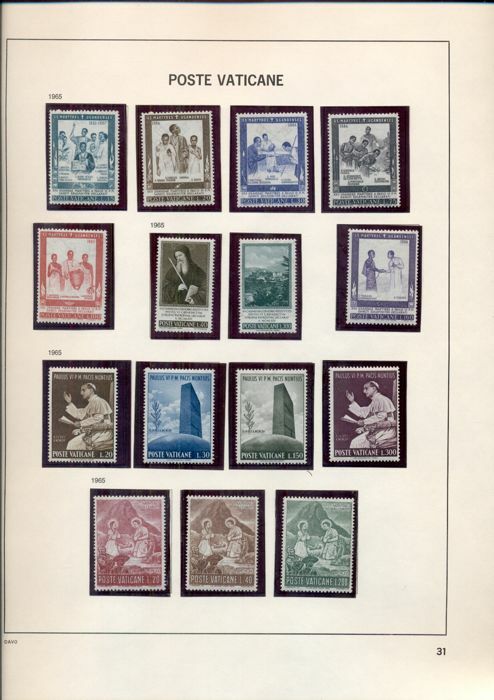 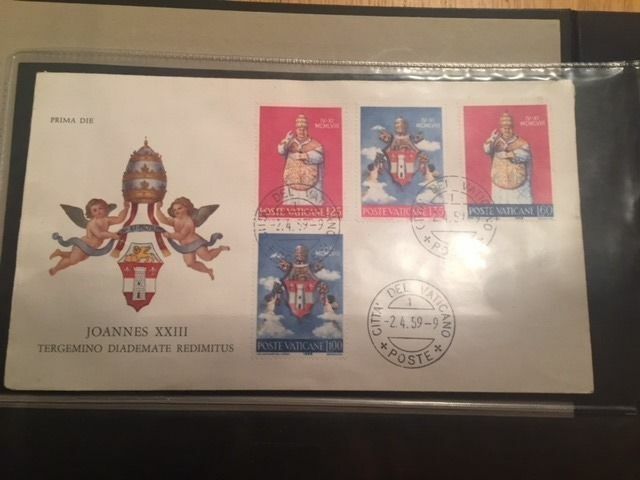 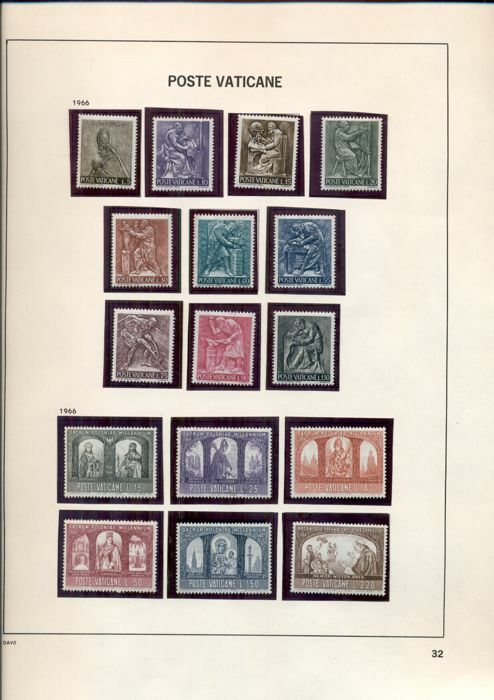 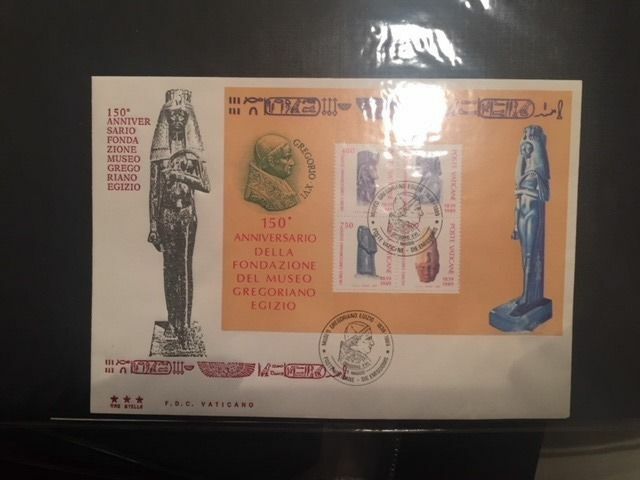 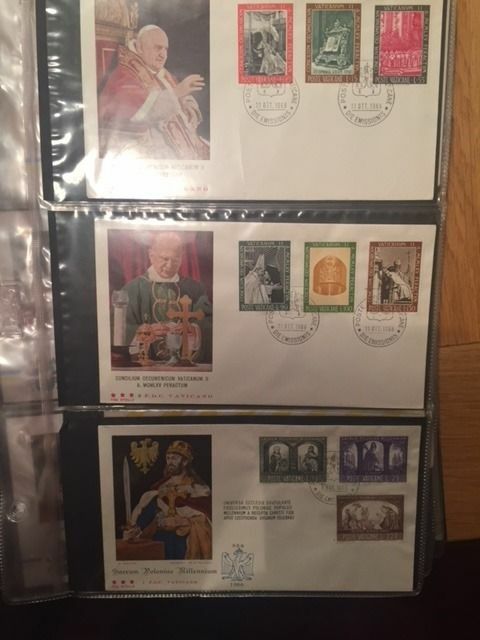 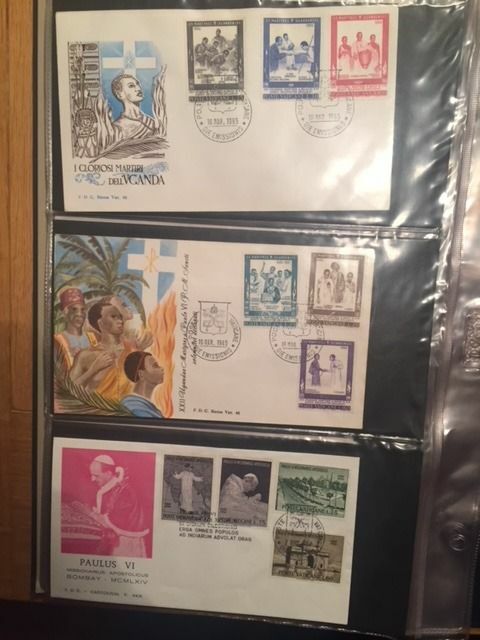 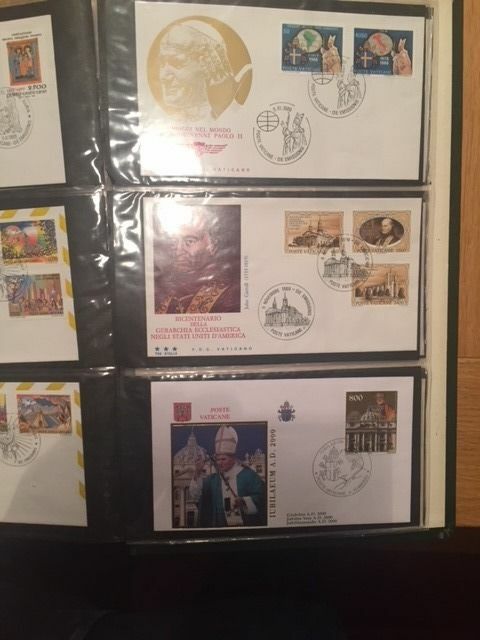 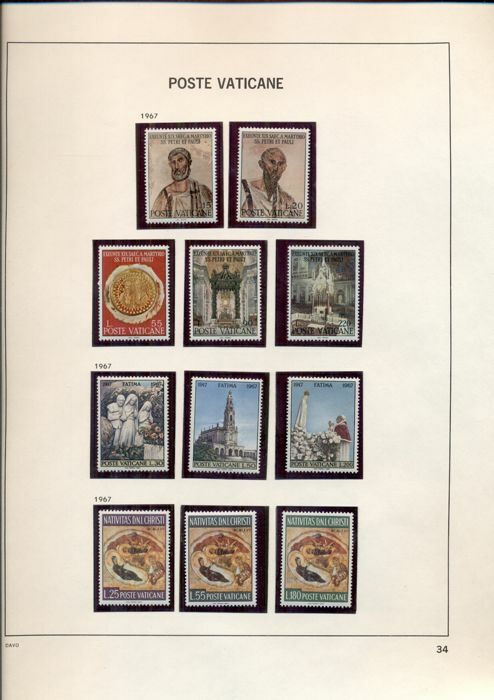 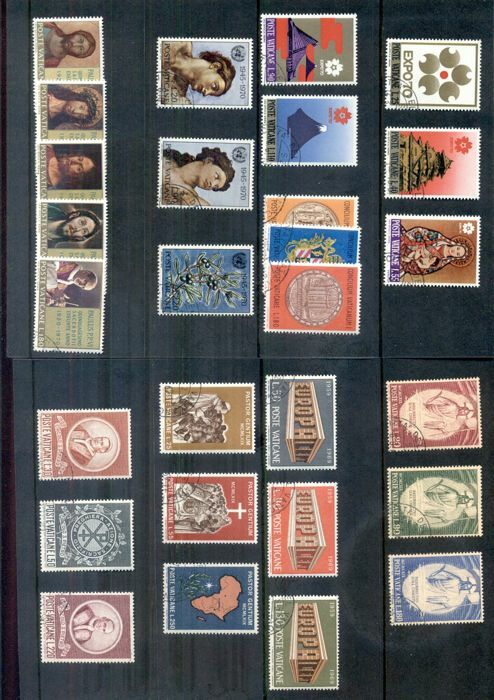 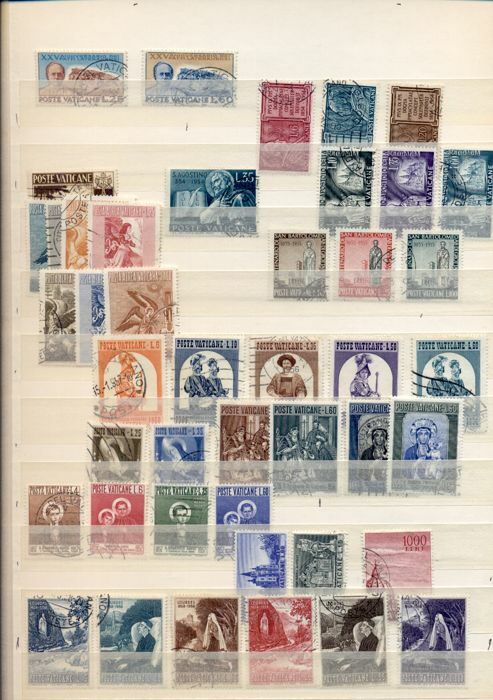 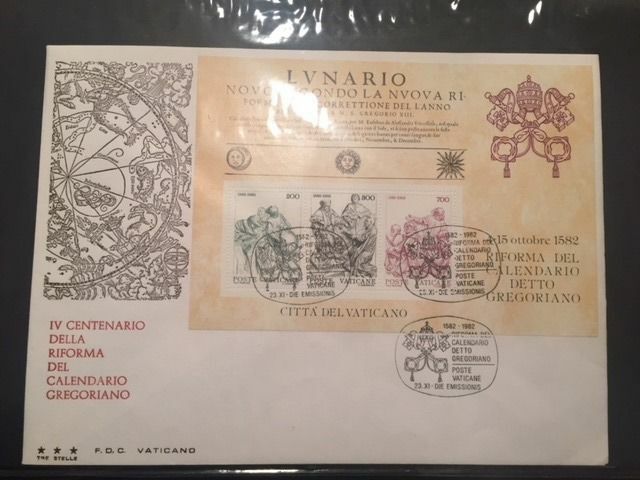 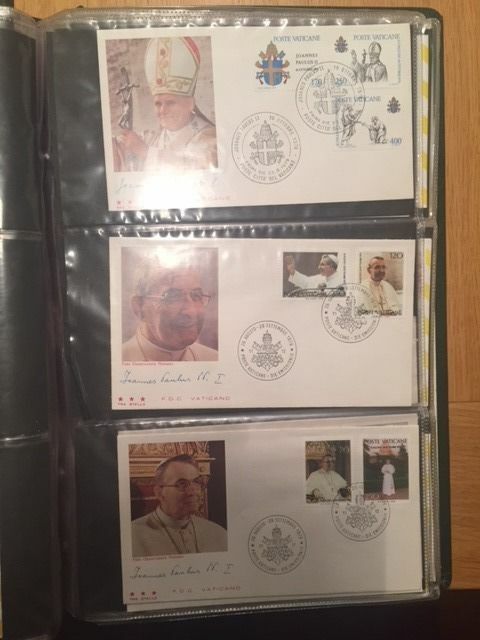 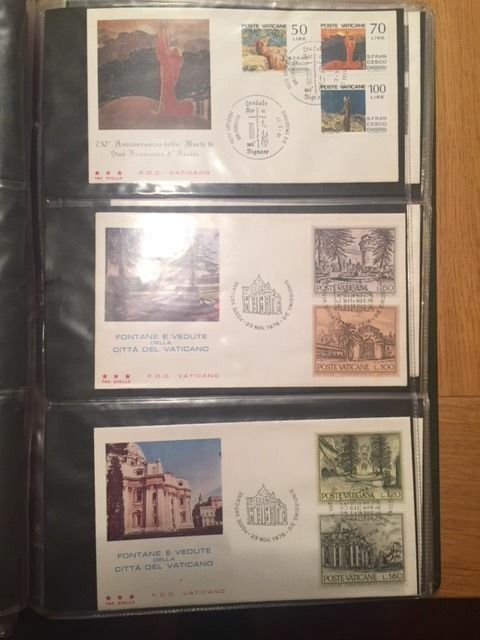 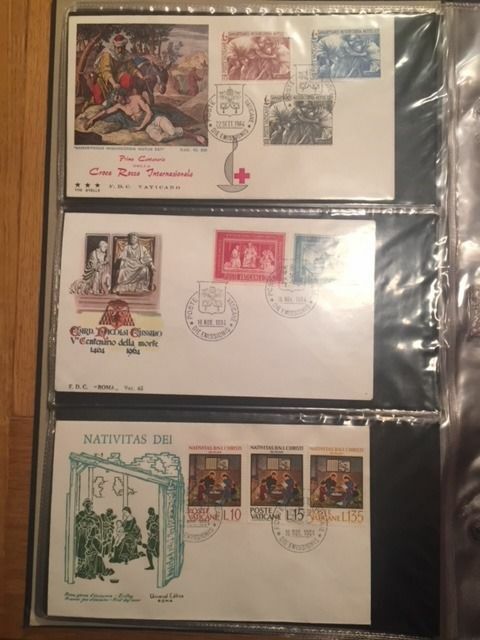 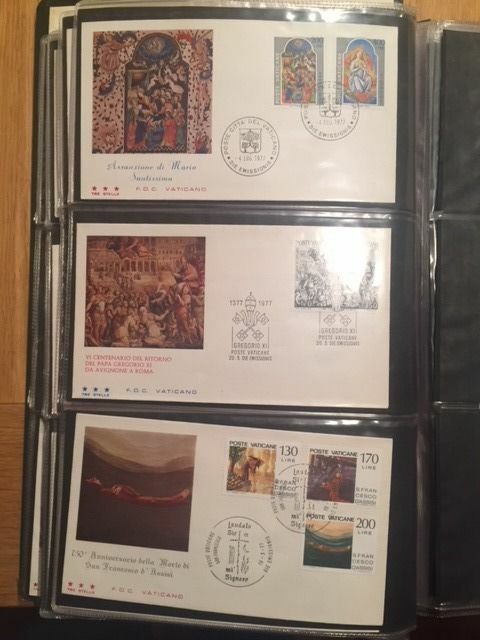 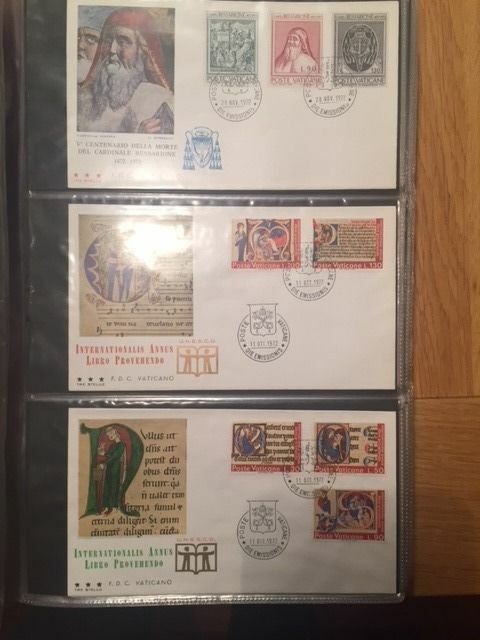 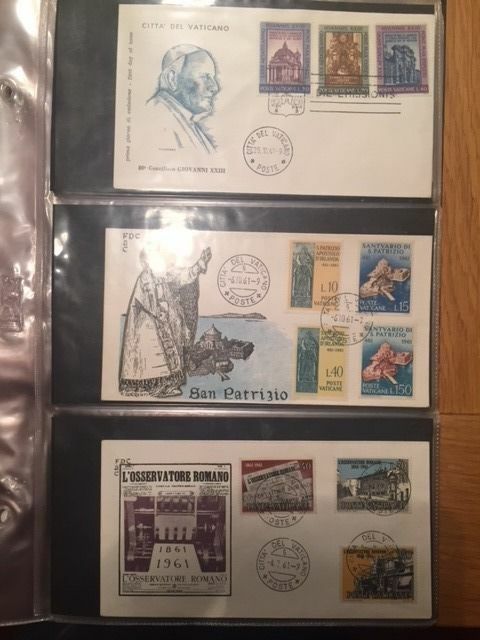 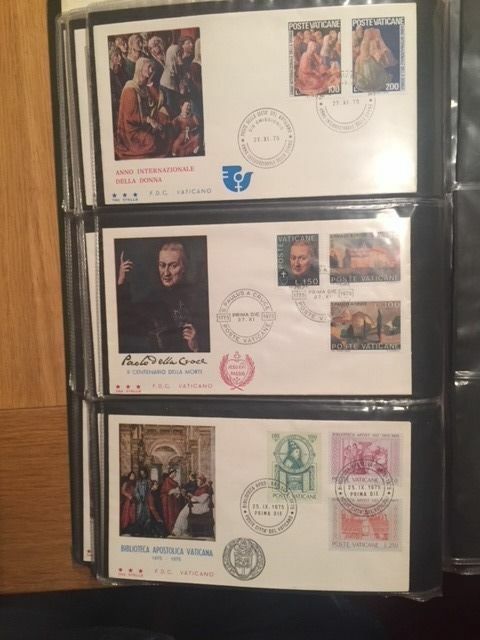 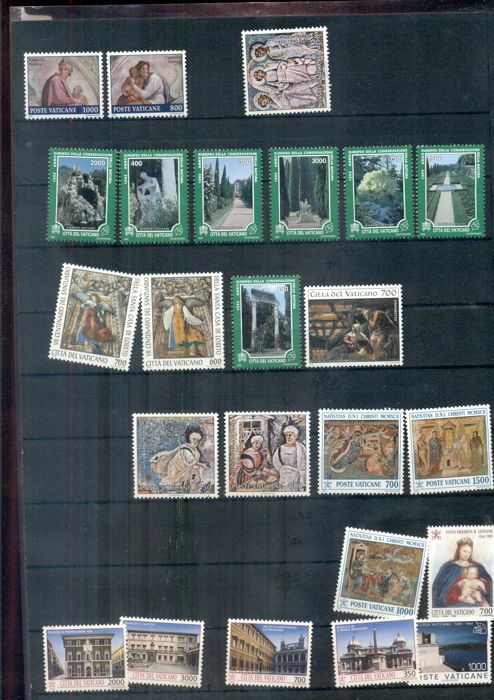 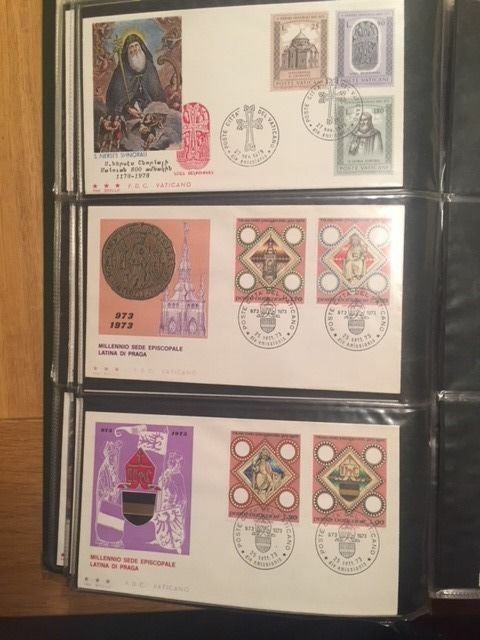 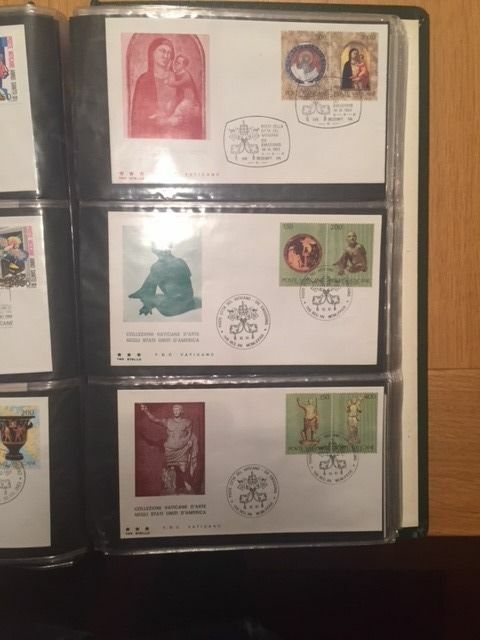 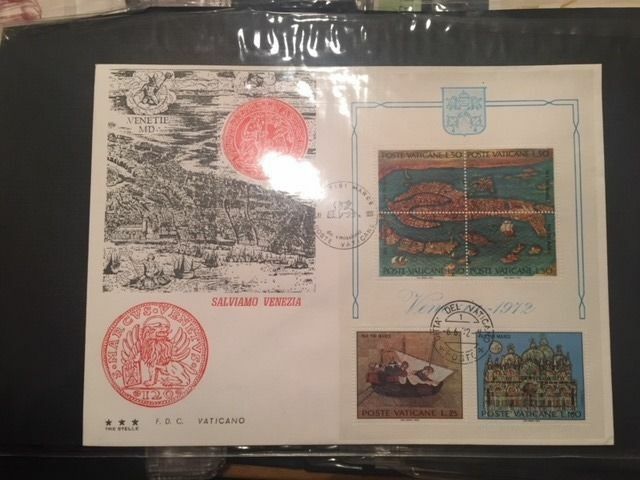 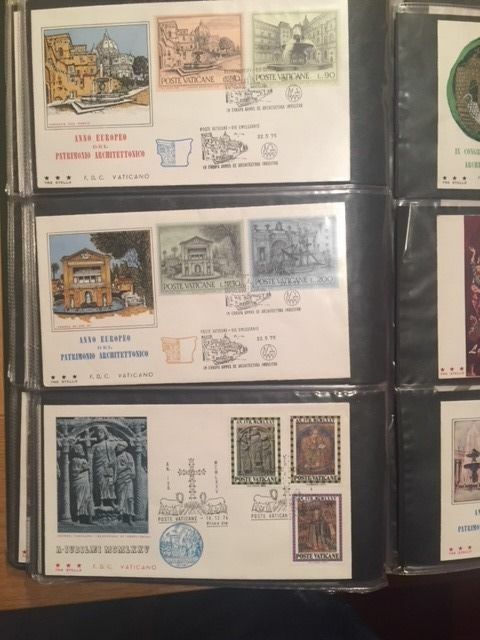 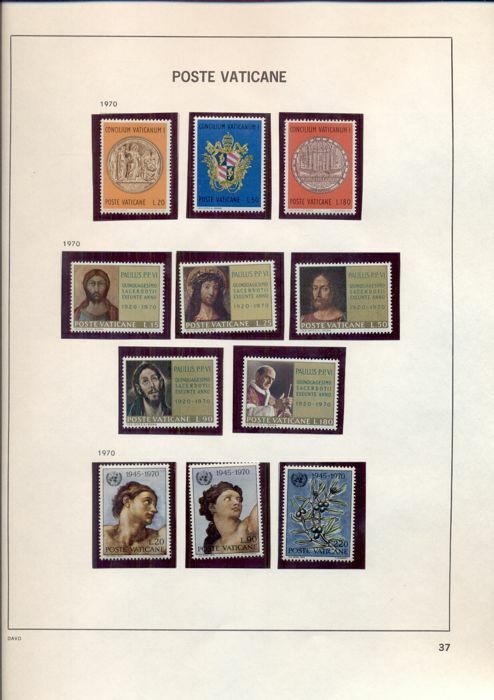 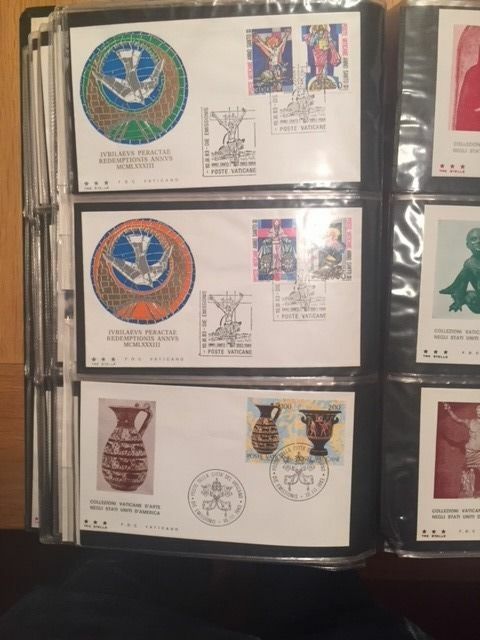 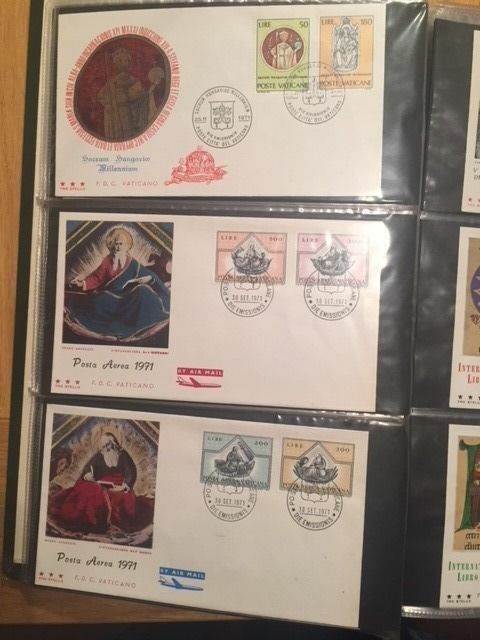 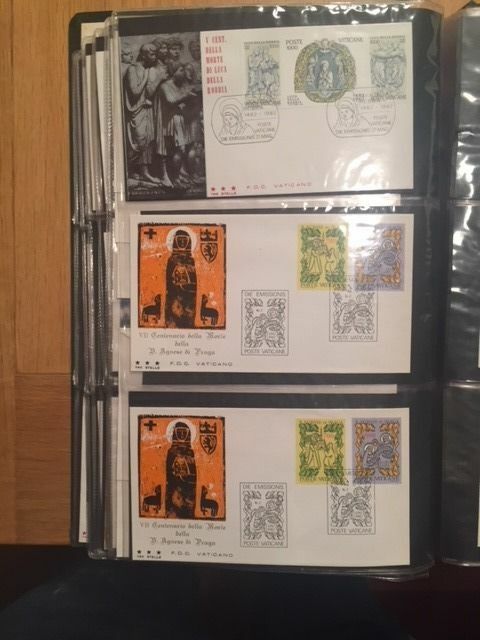 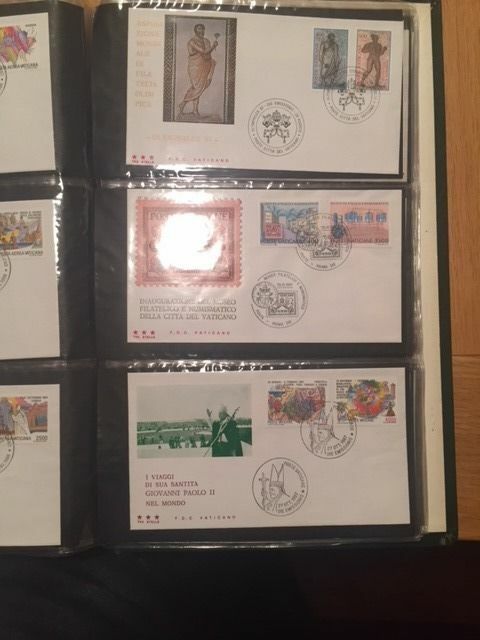 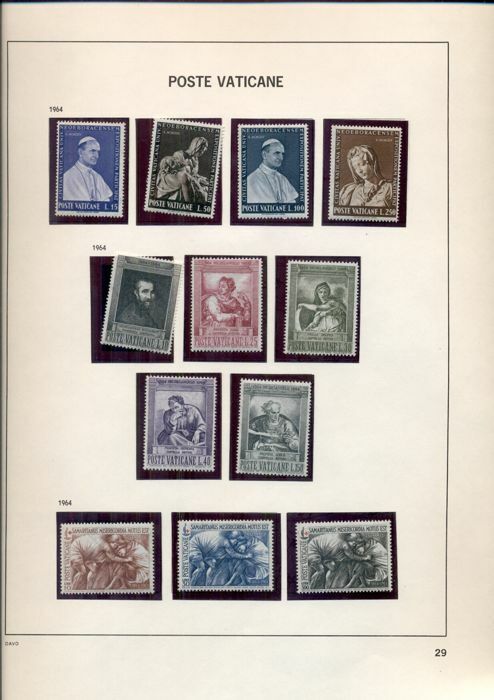 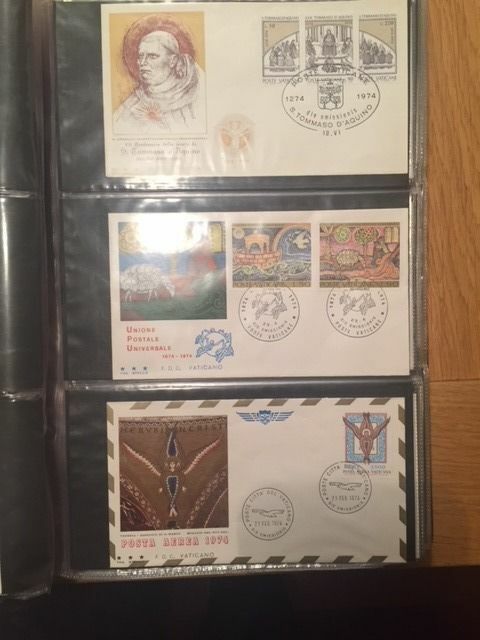 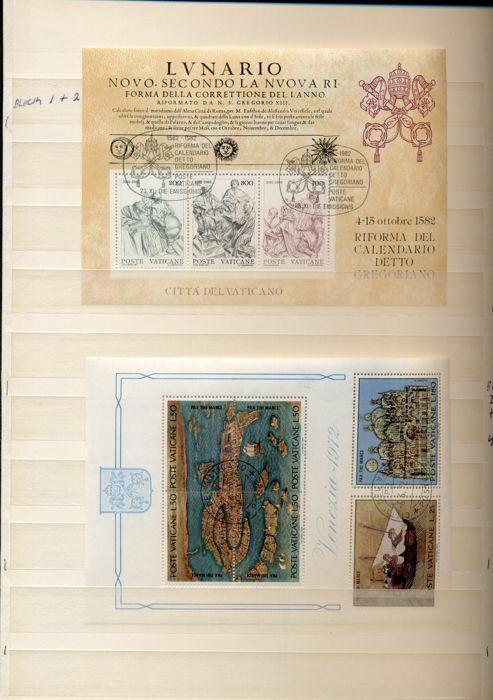 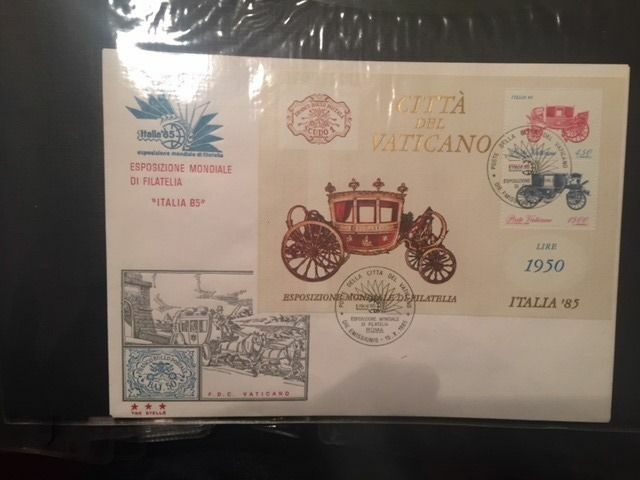 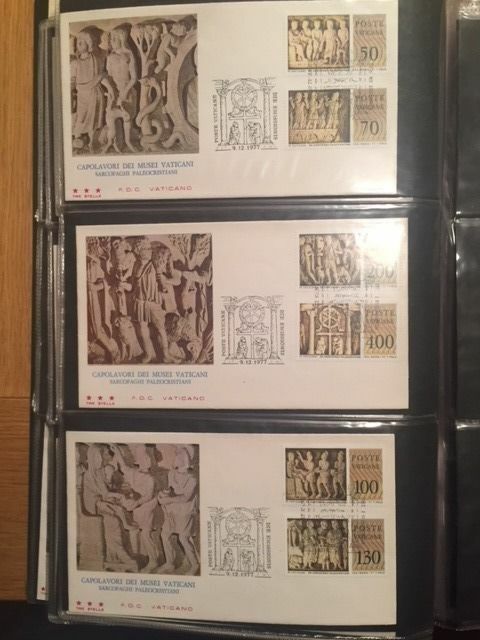 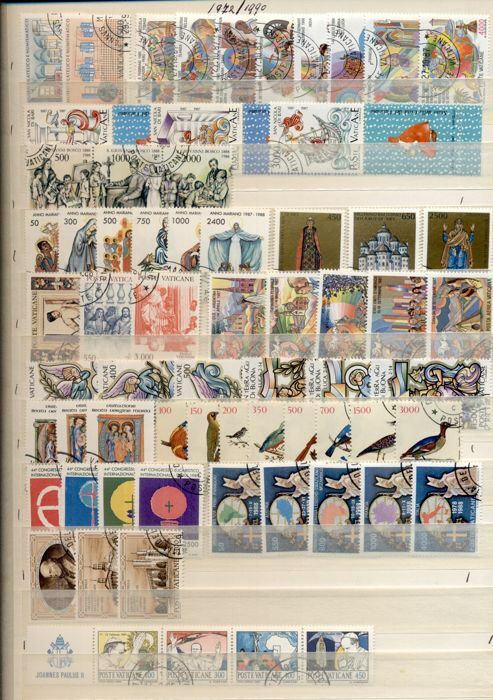 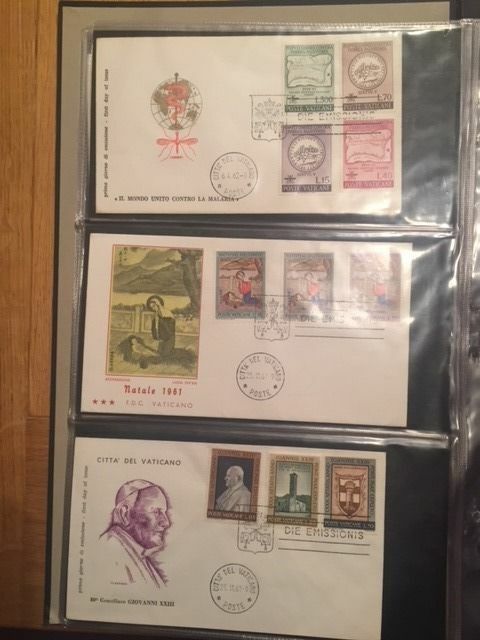 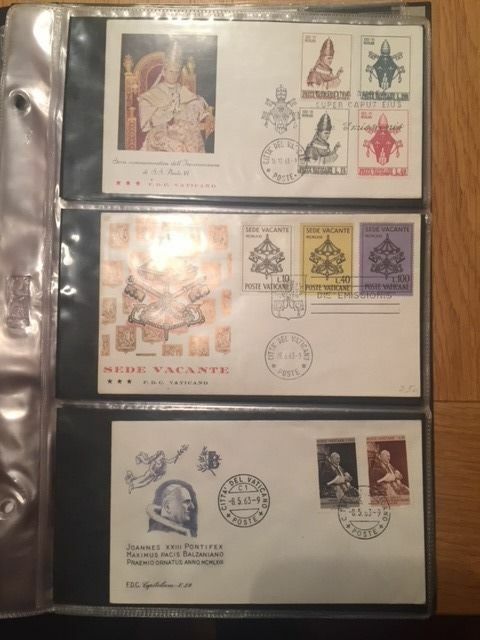 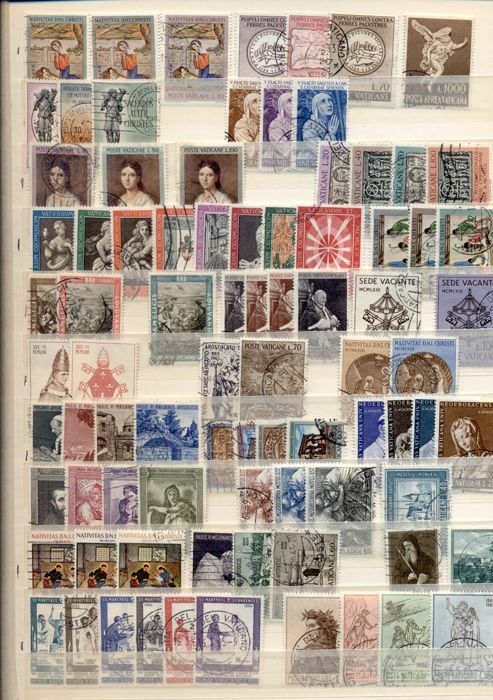 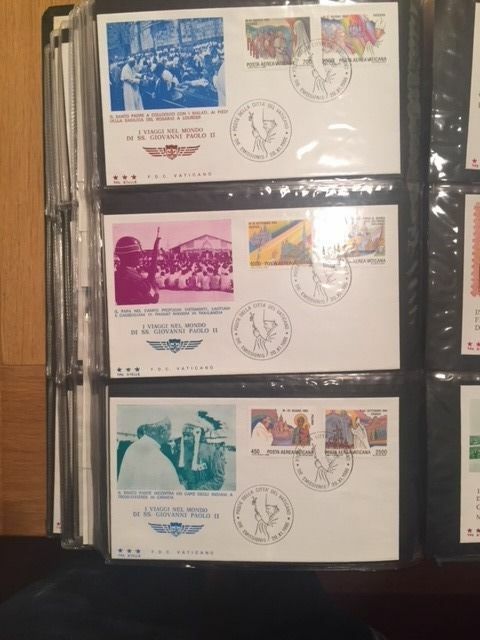 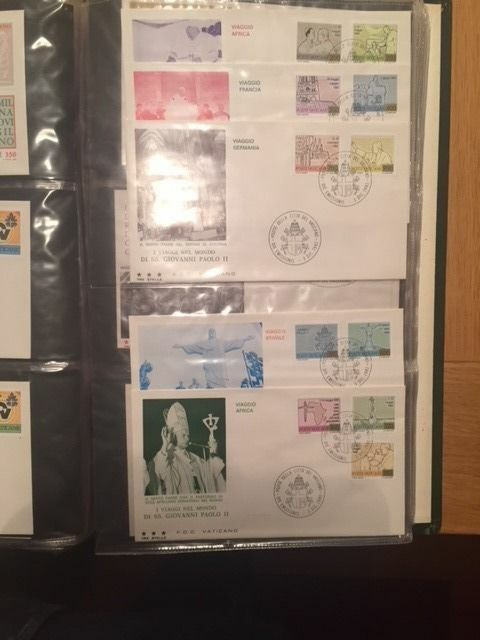 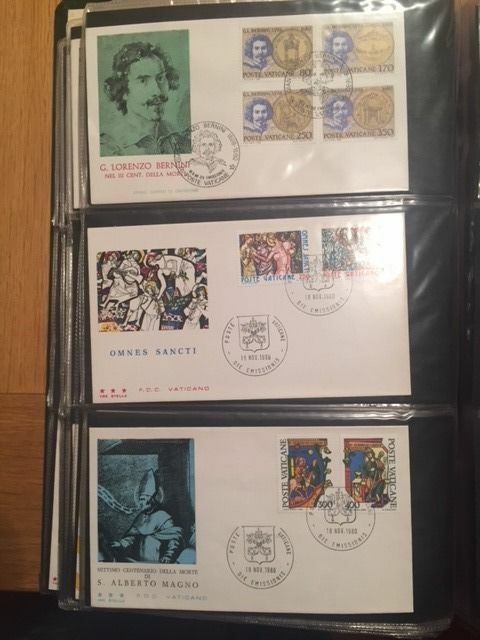 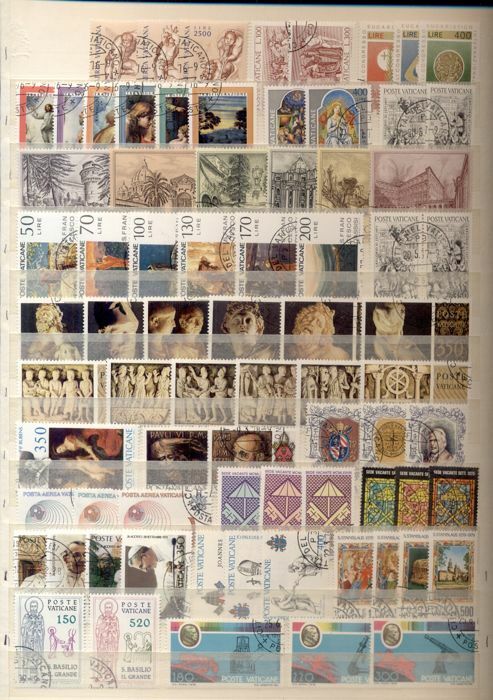 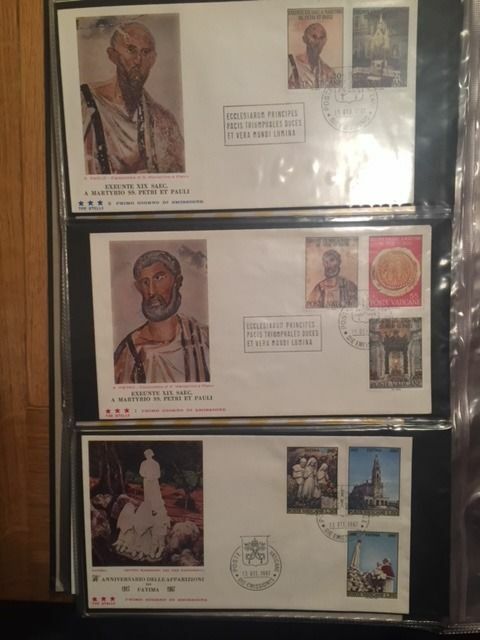 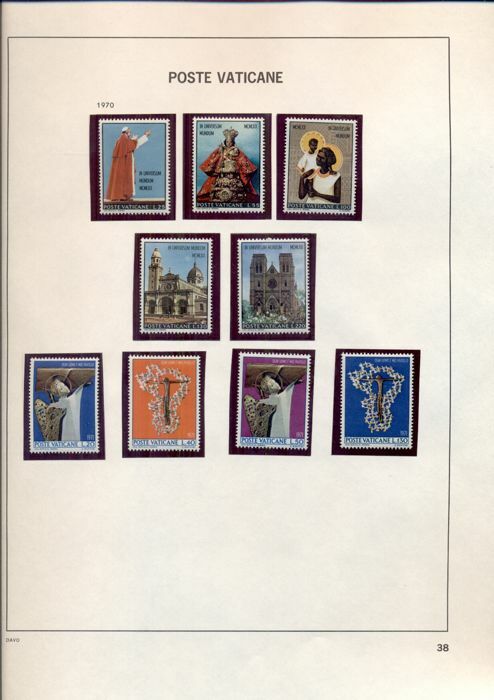 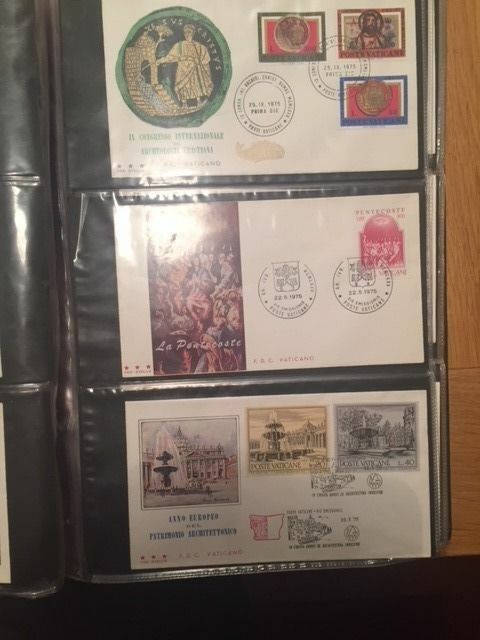 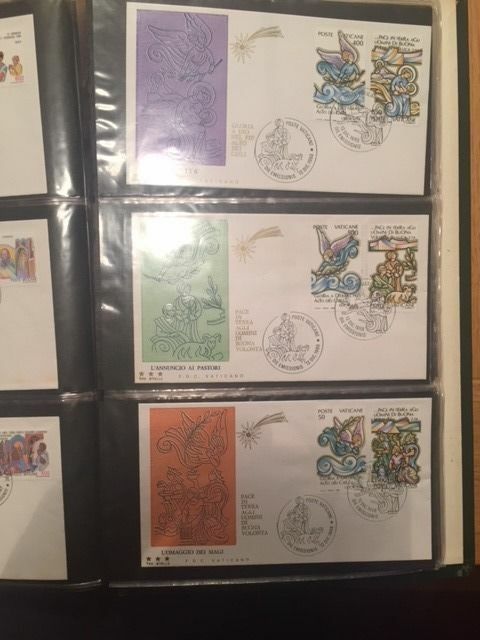 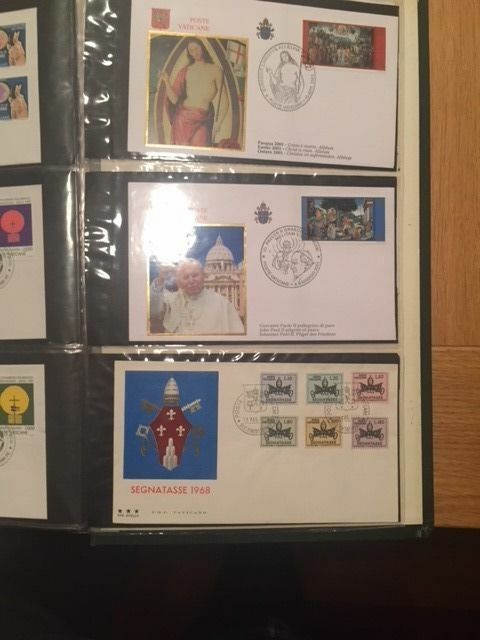 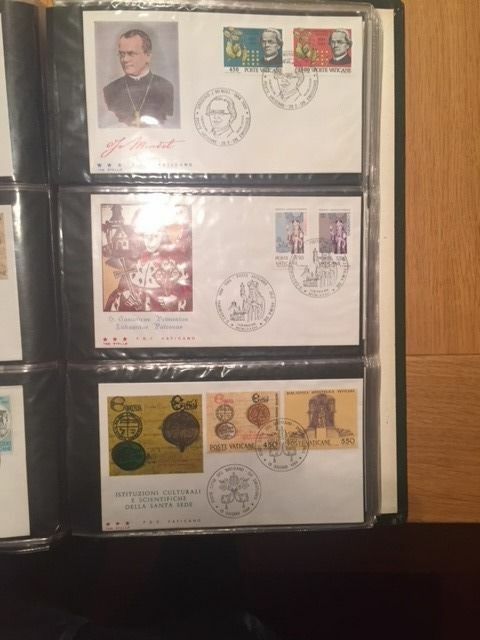 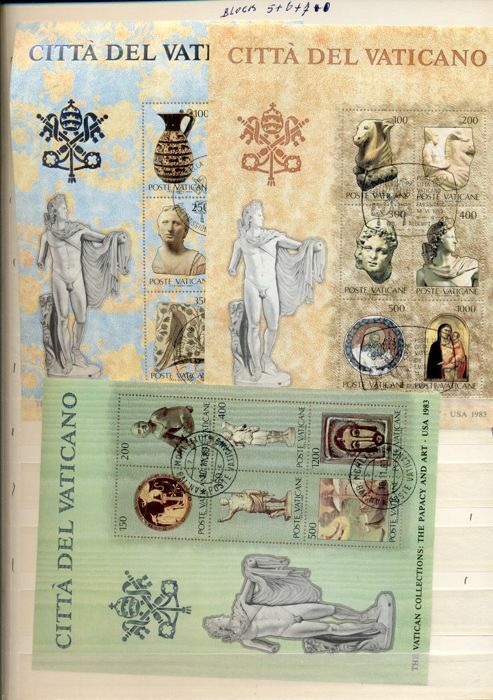 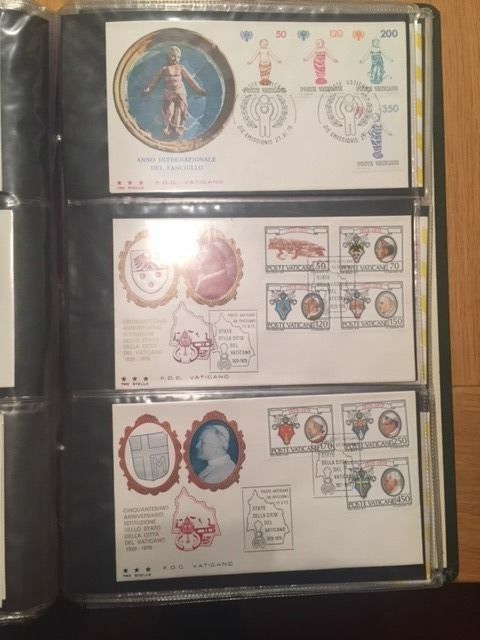 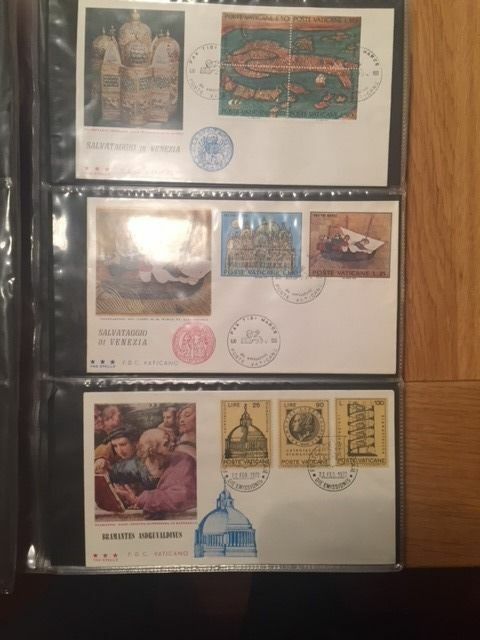 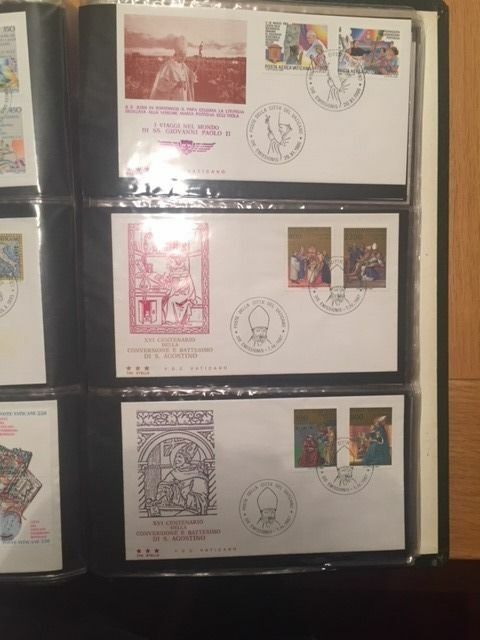 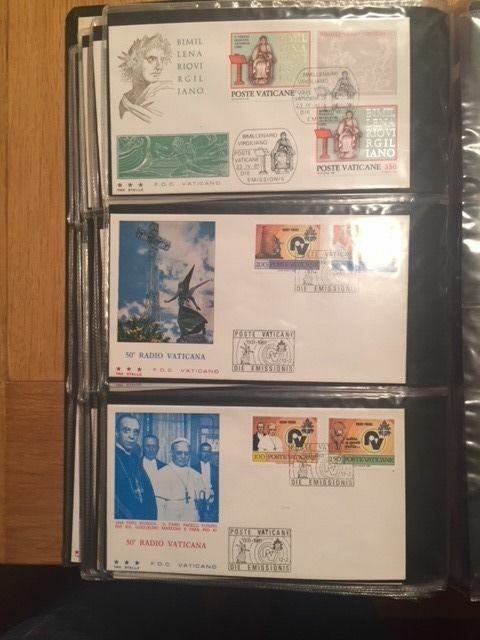 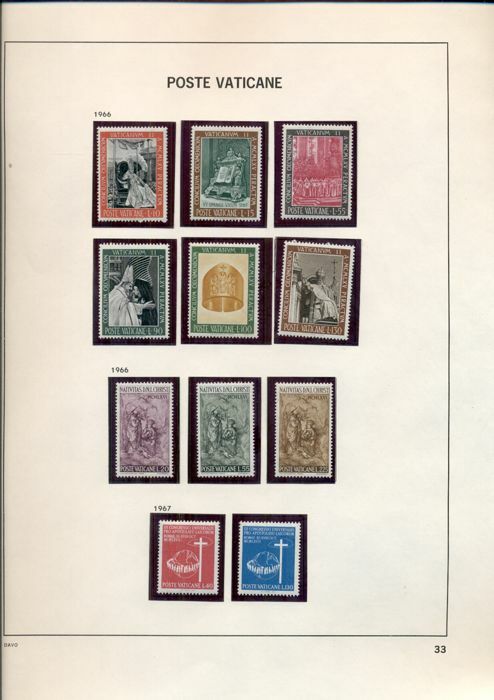 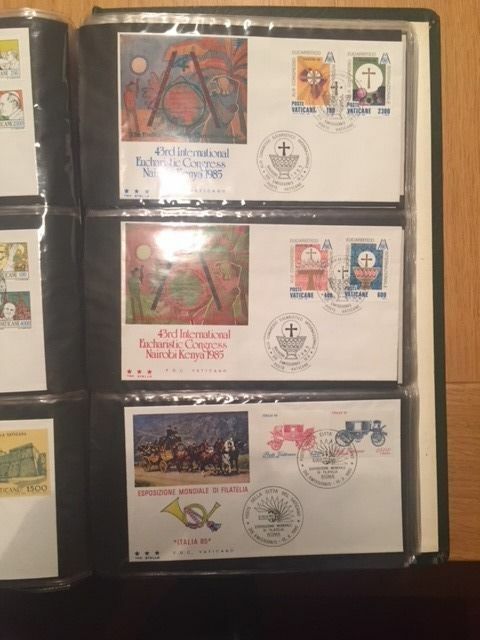 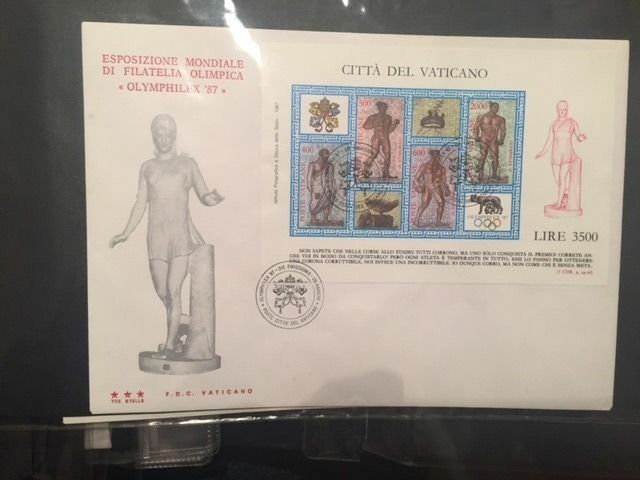 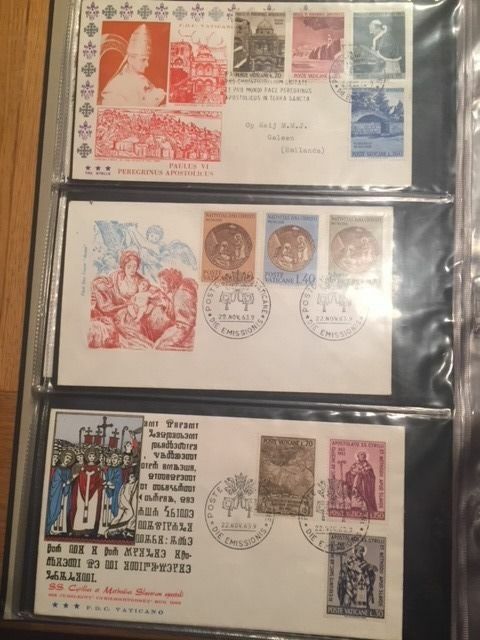 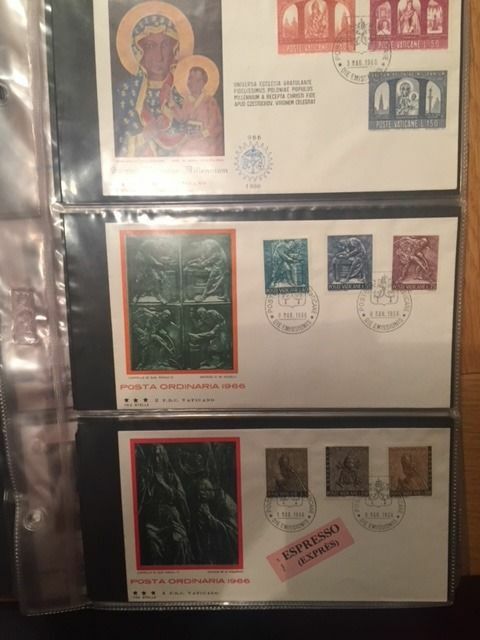 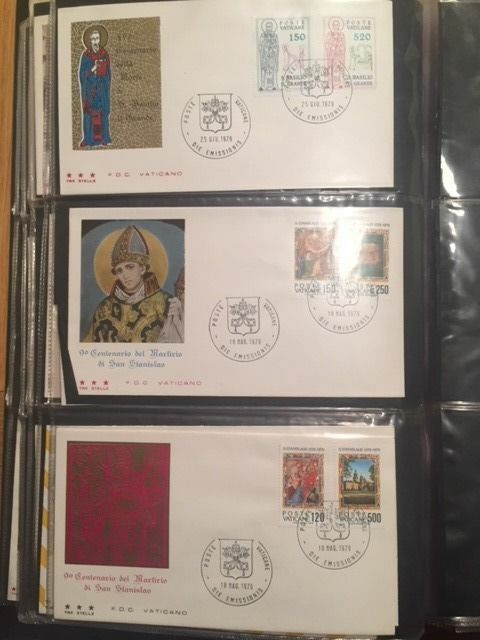 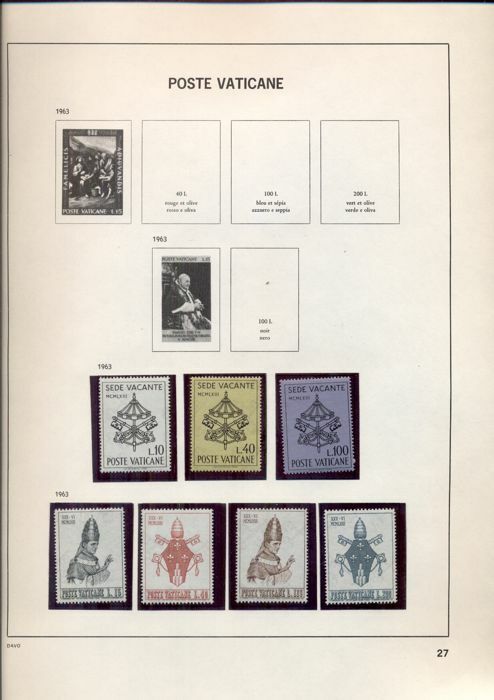 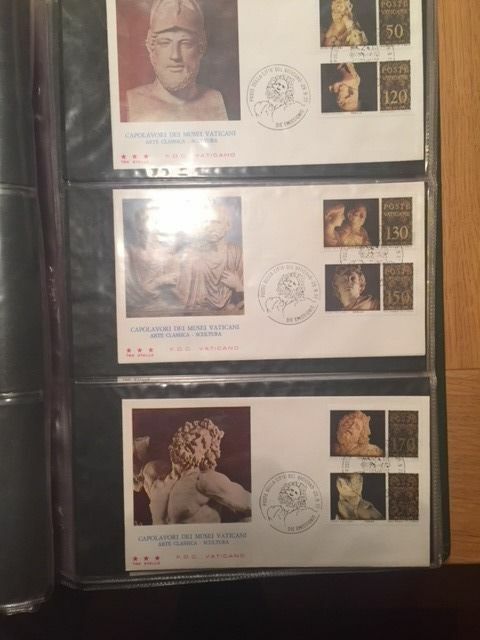 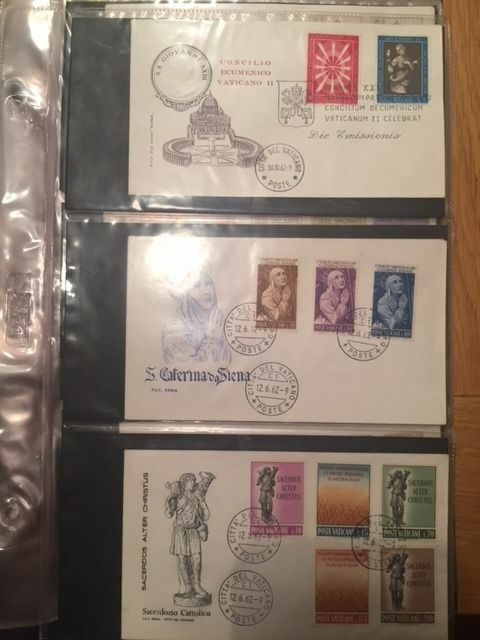 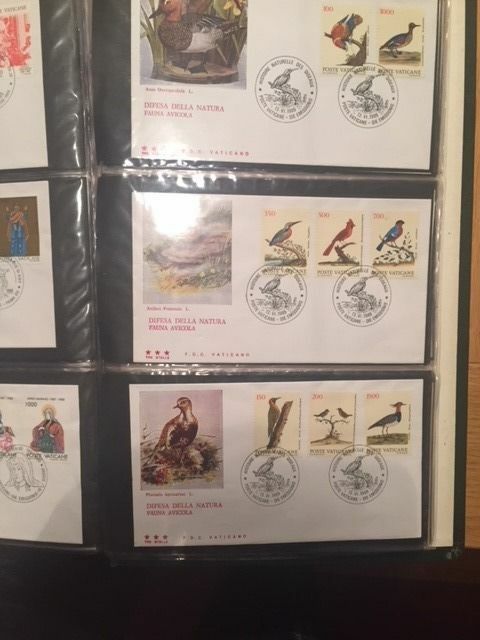 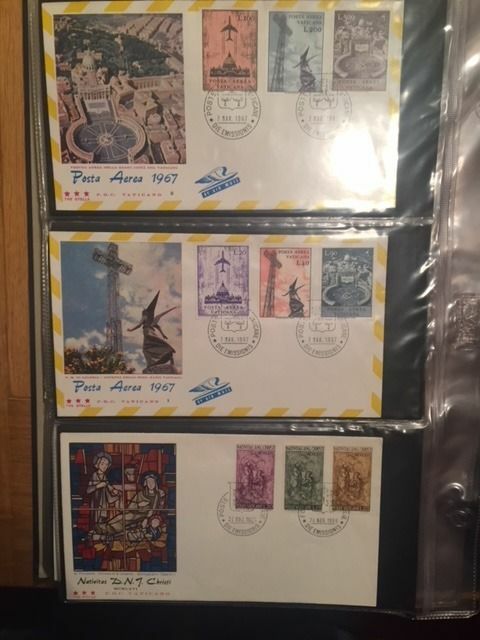 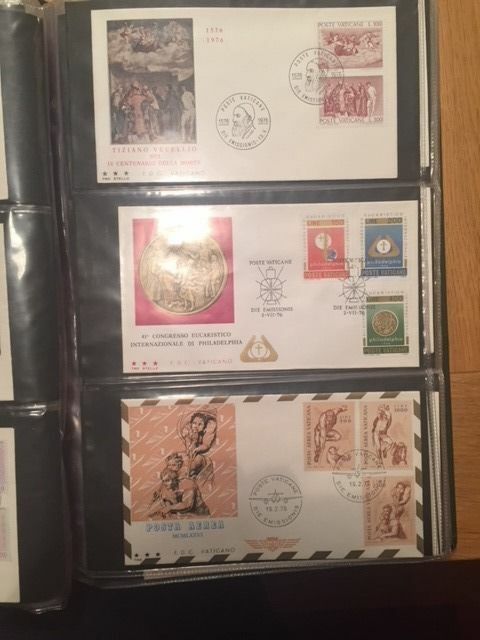 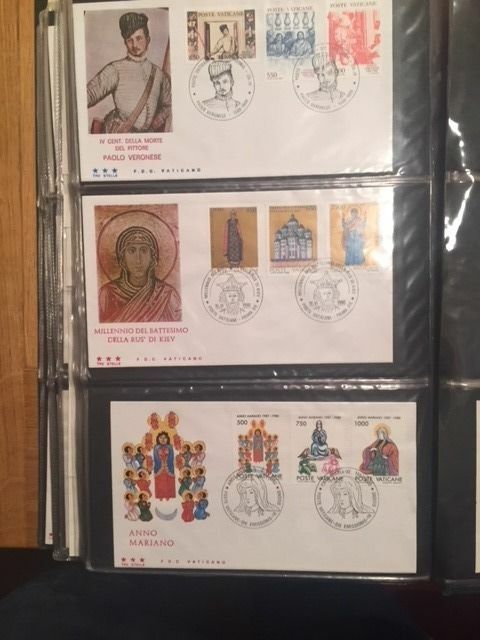 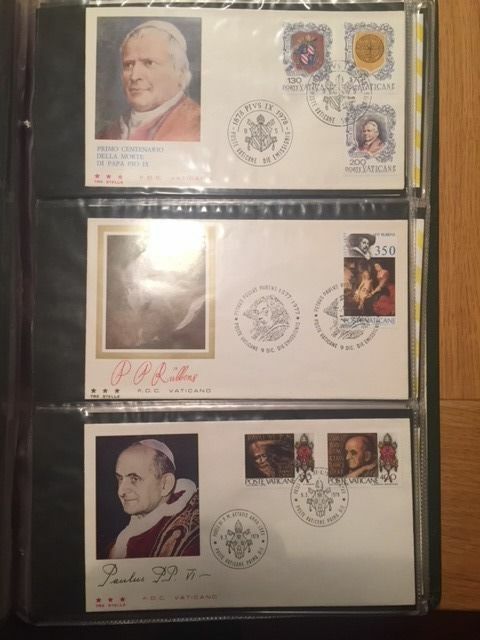 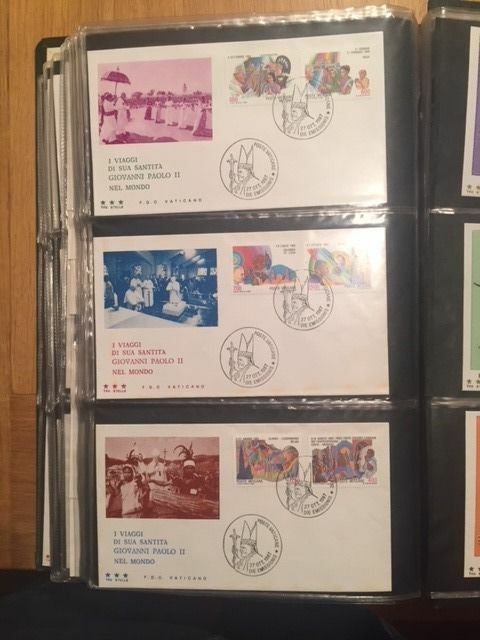 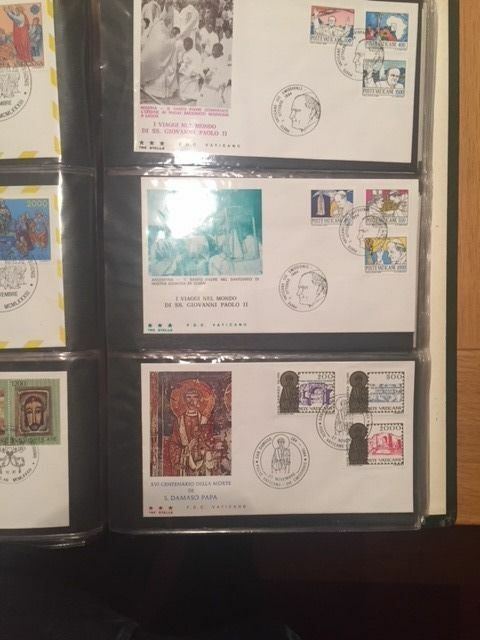 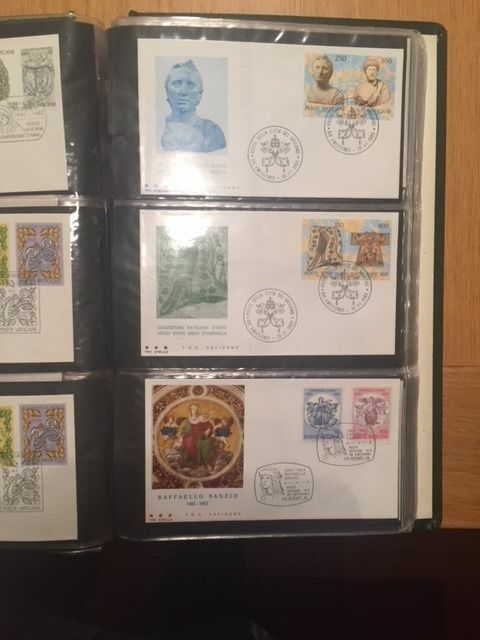 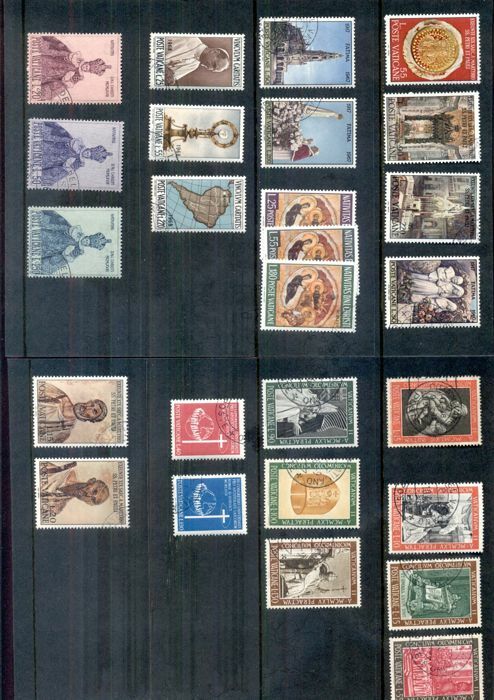 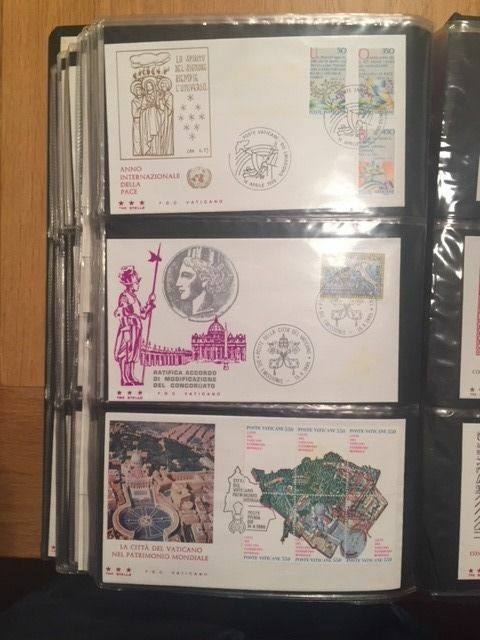 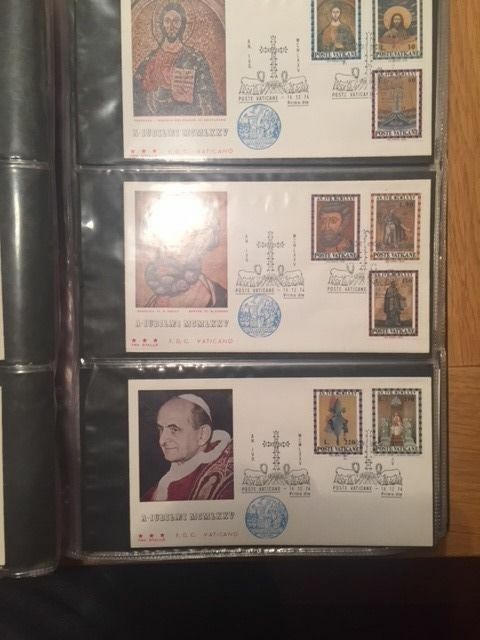 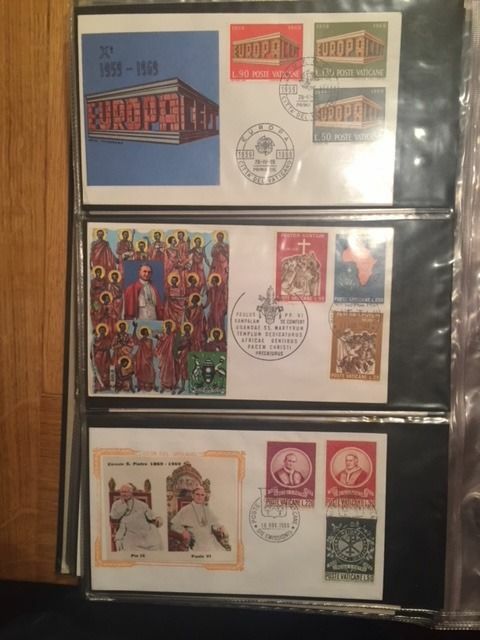 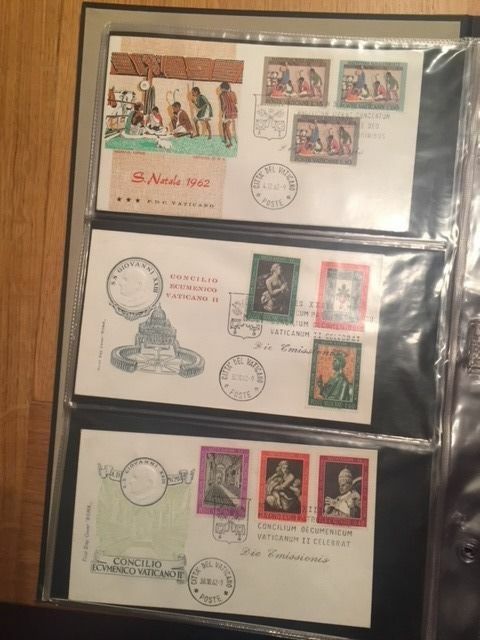 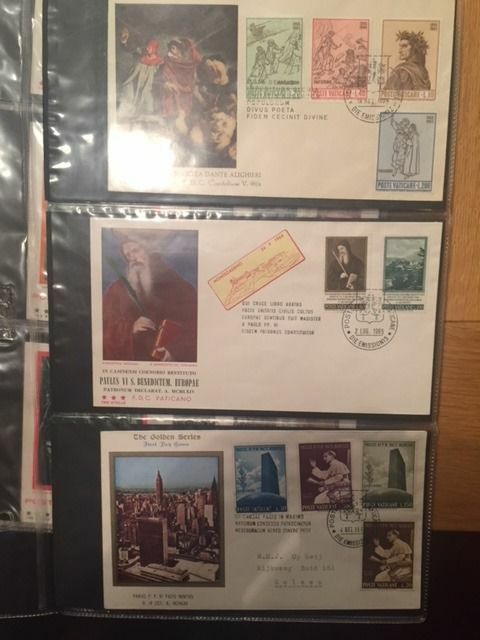 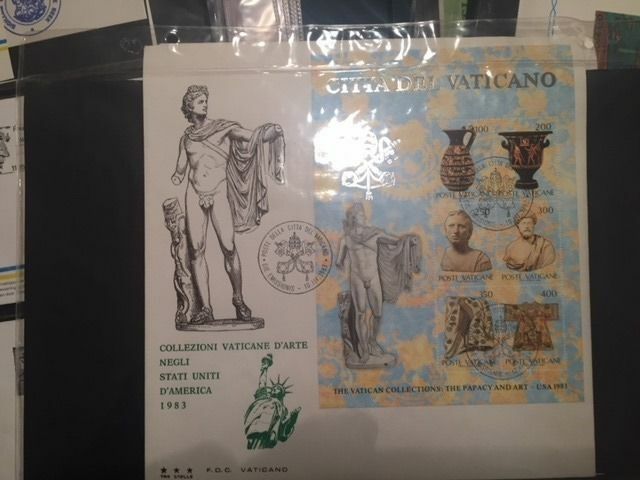 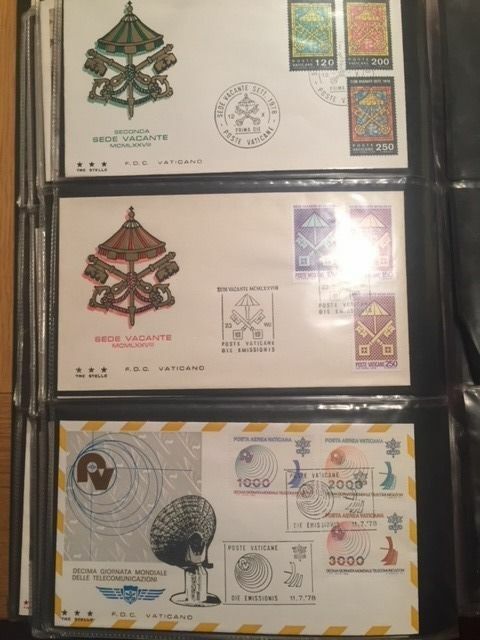 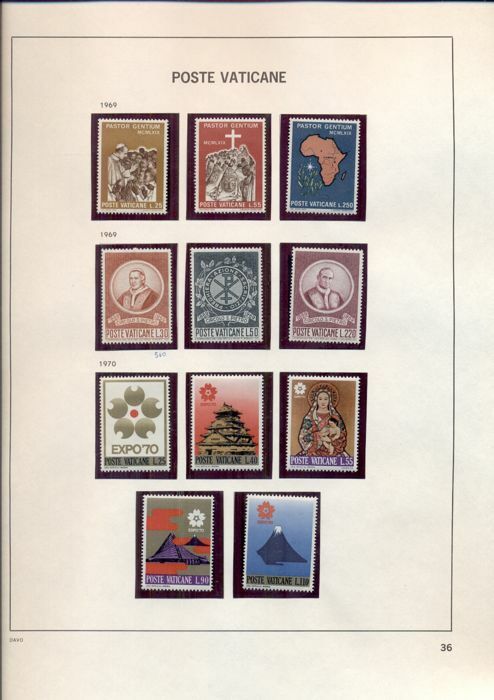 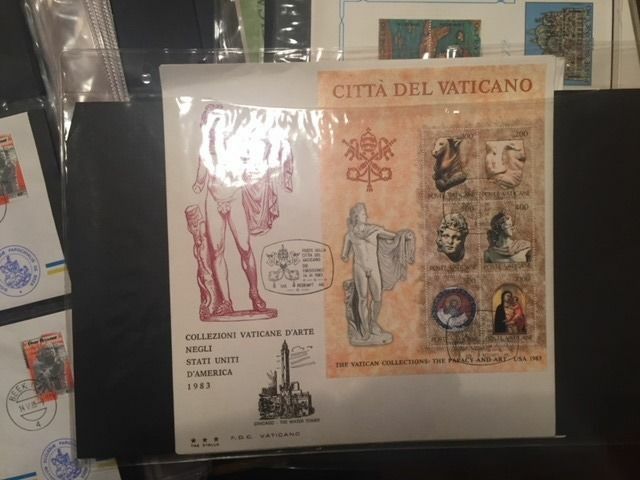 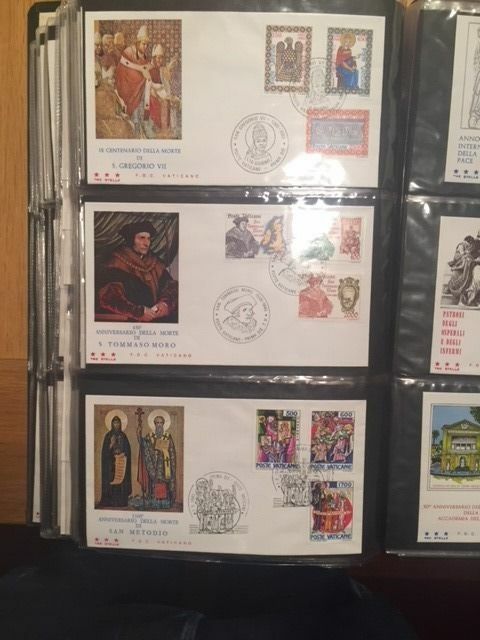 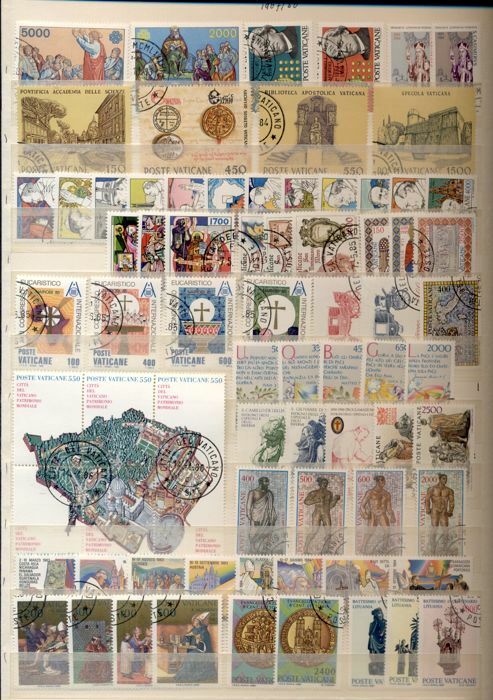 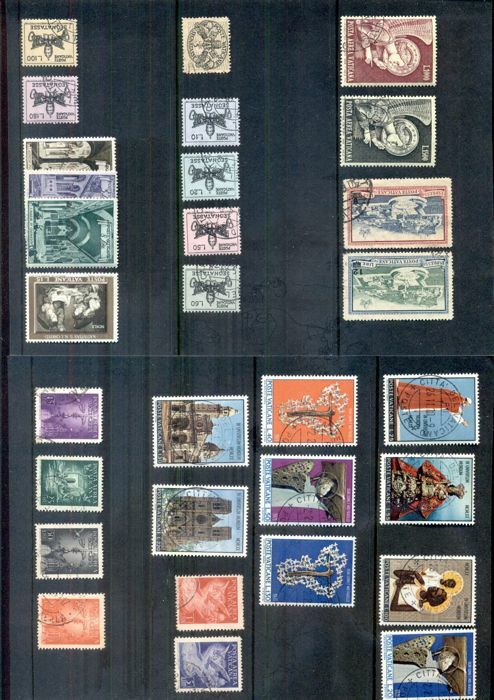 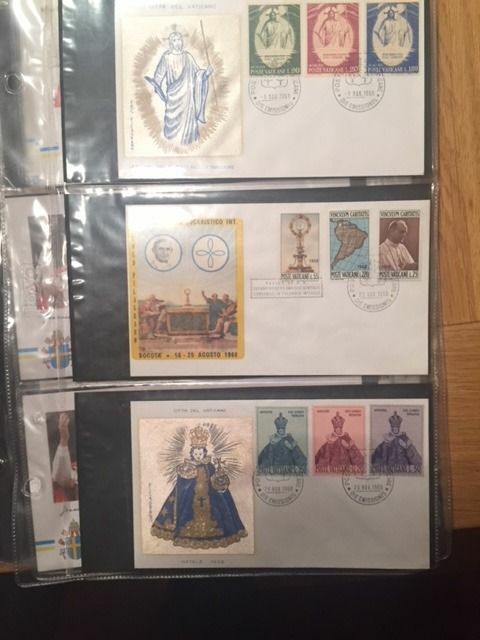 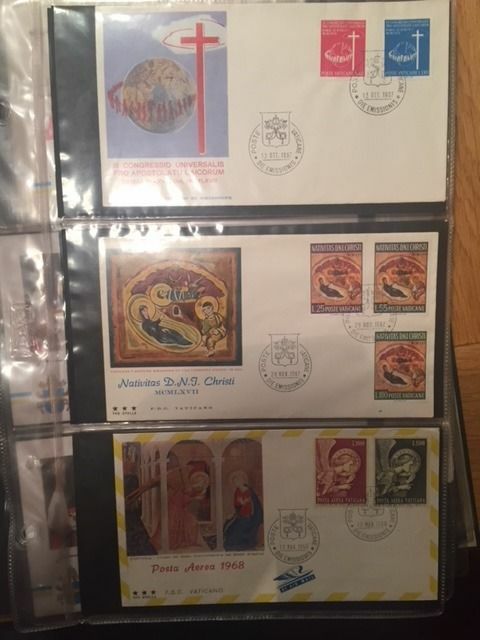 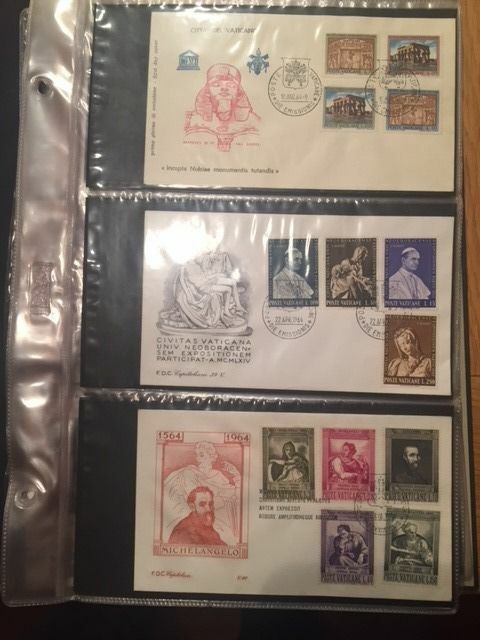 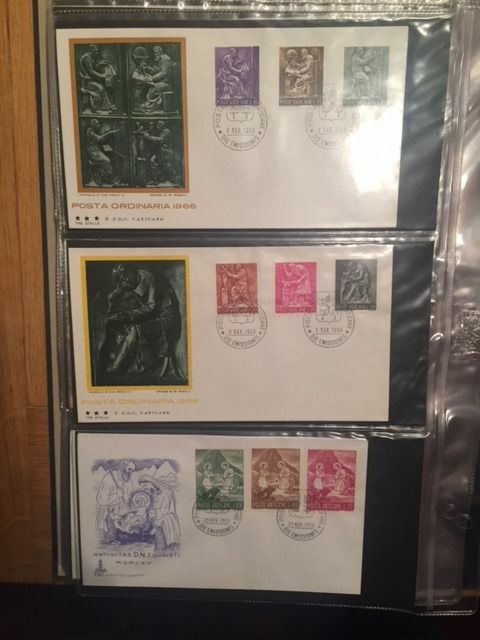 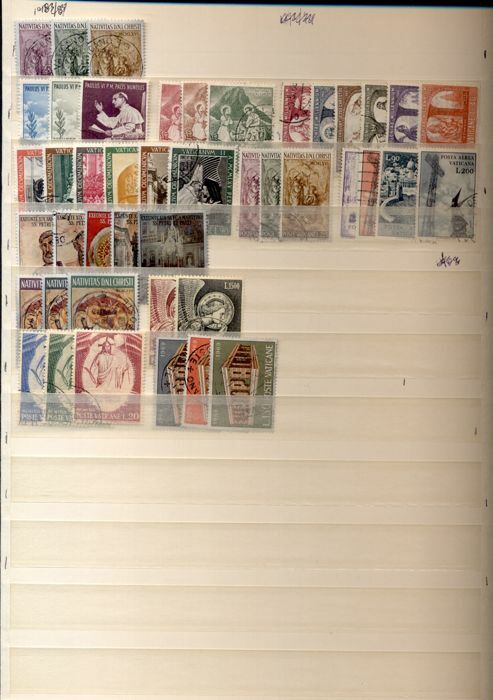 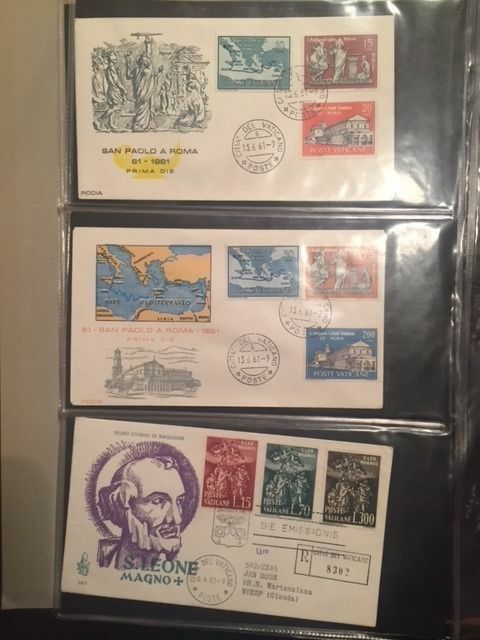 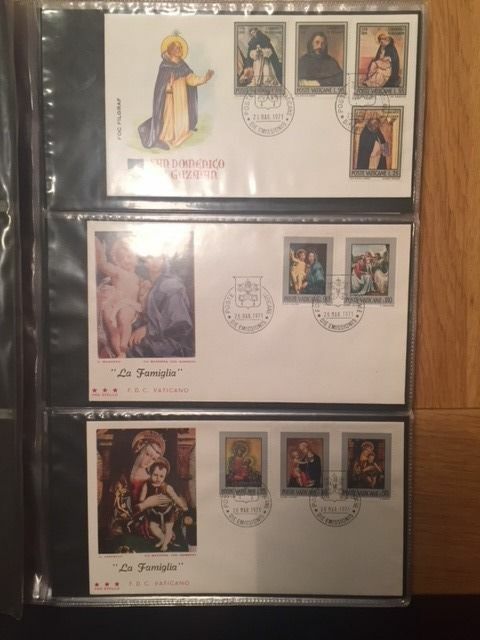 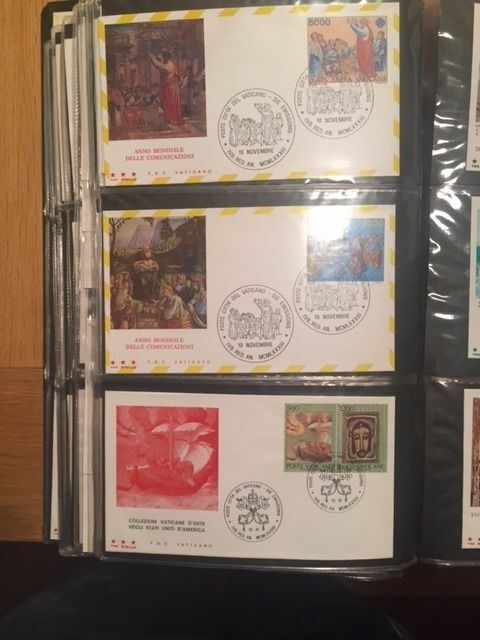 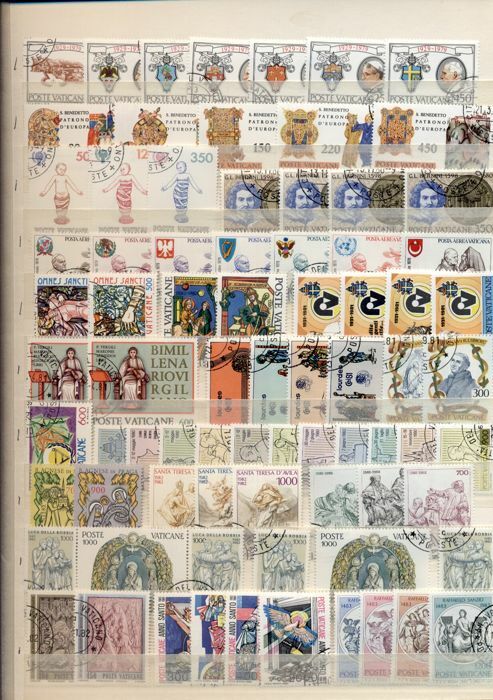 Beautiful collection of stamps from the Vatican. 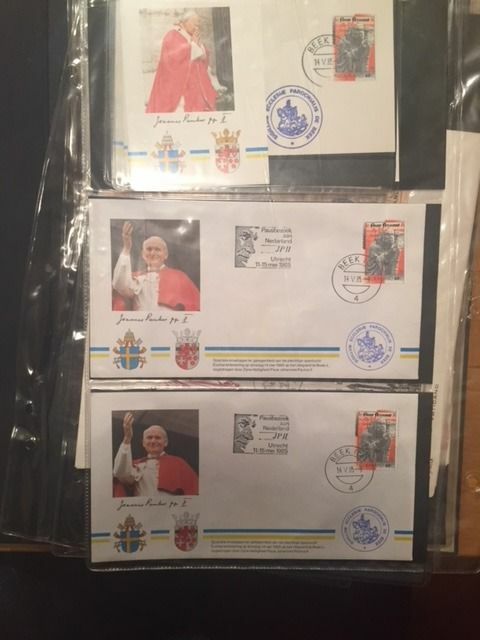 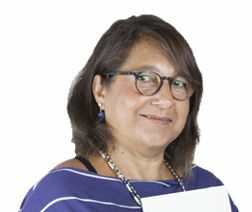 MNH, MH and cancelled. 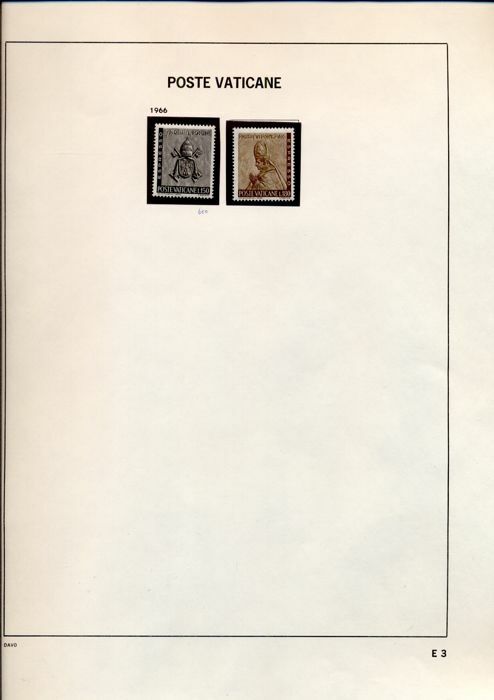 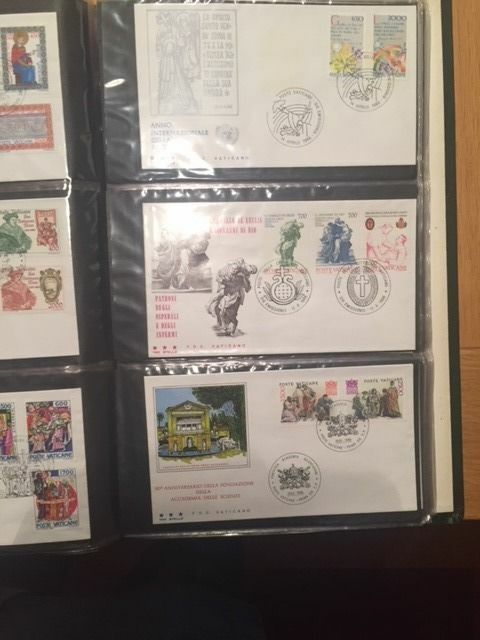 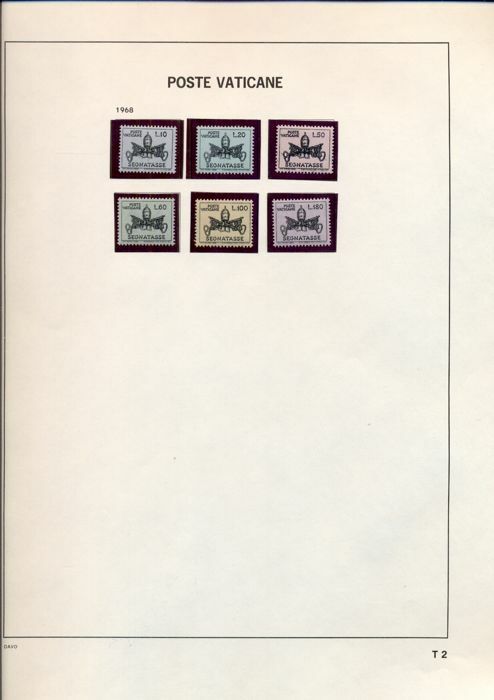 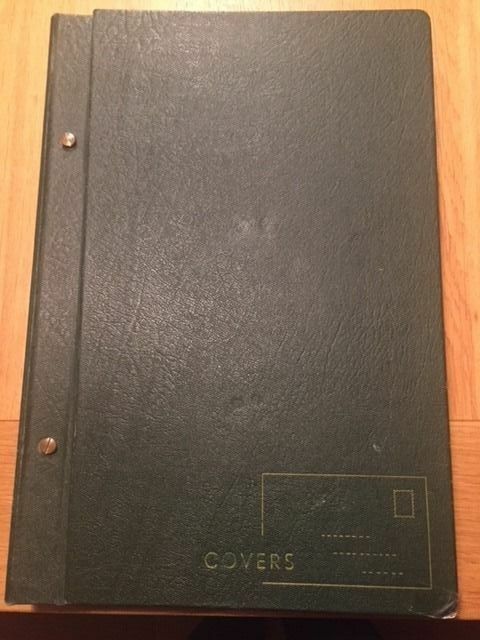 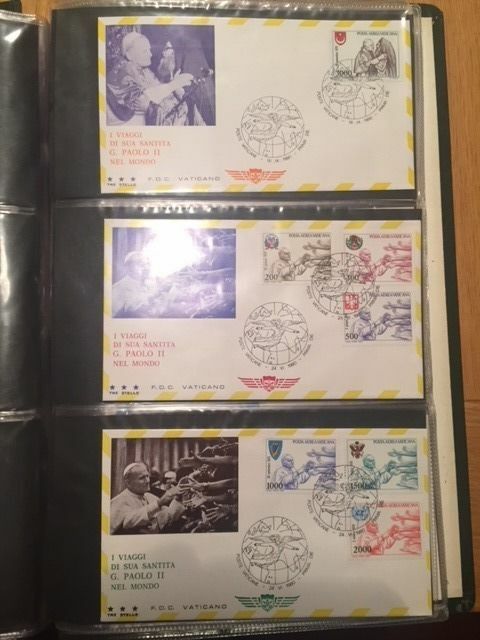 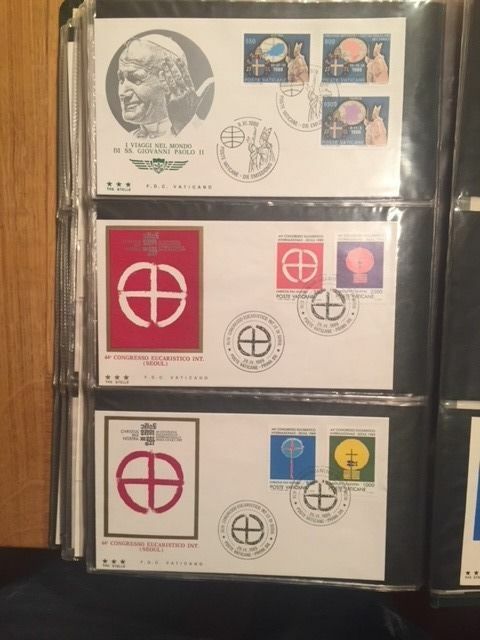 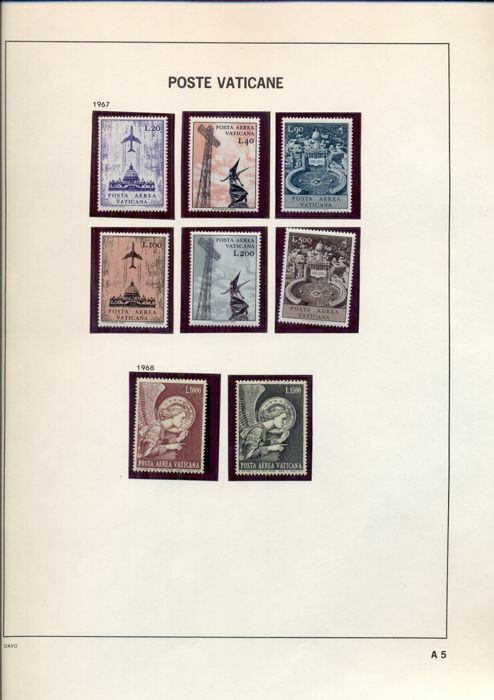 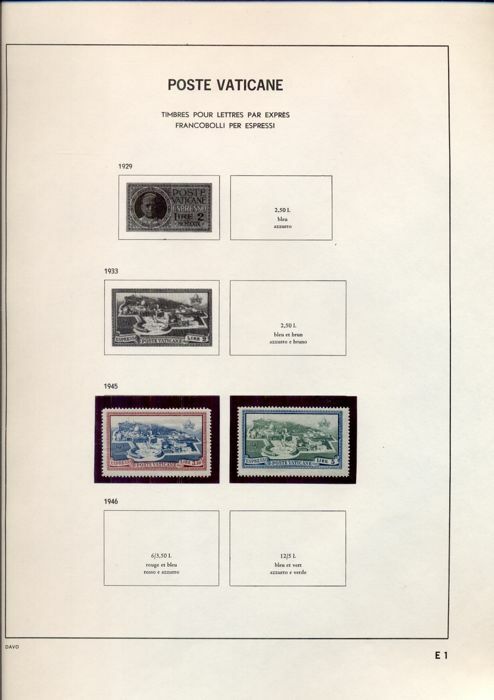 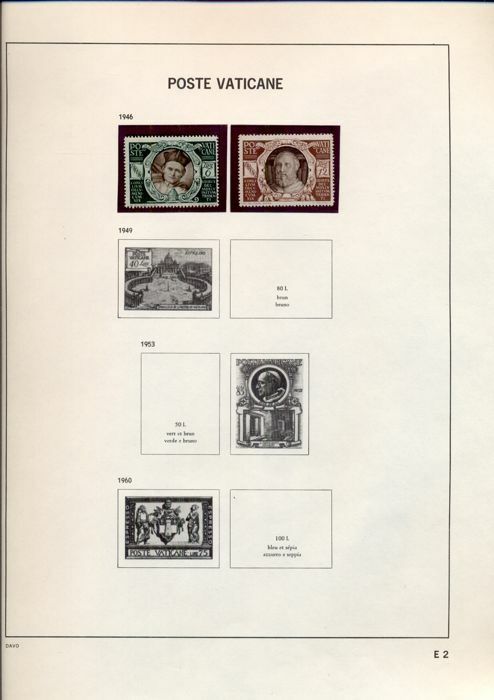 Also contains FDCs from between 1955 and 1980. 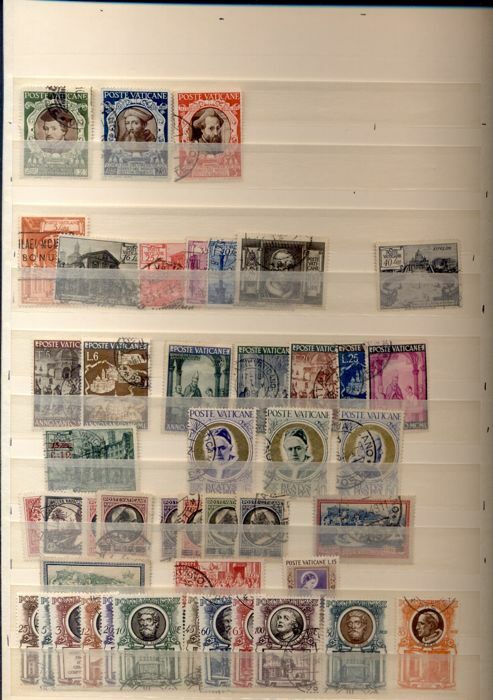 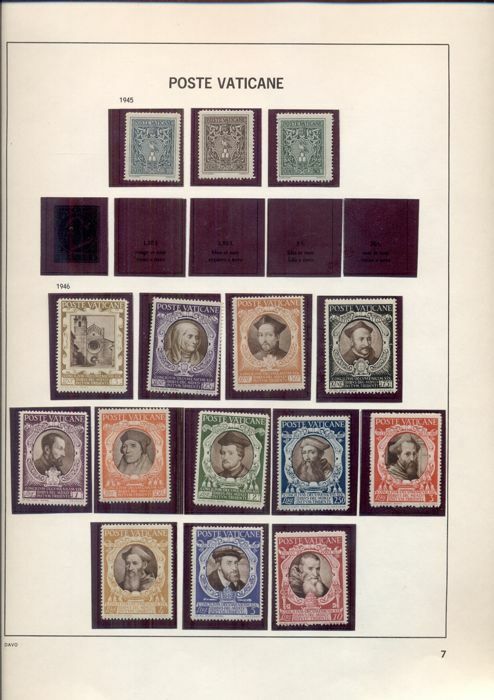 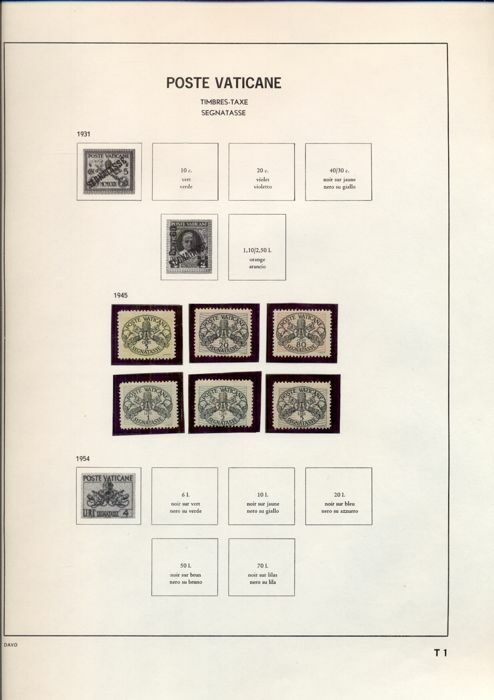 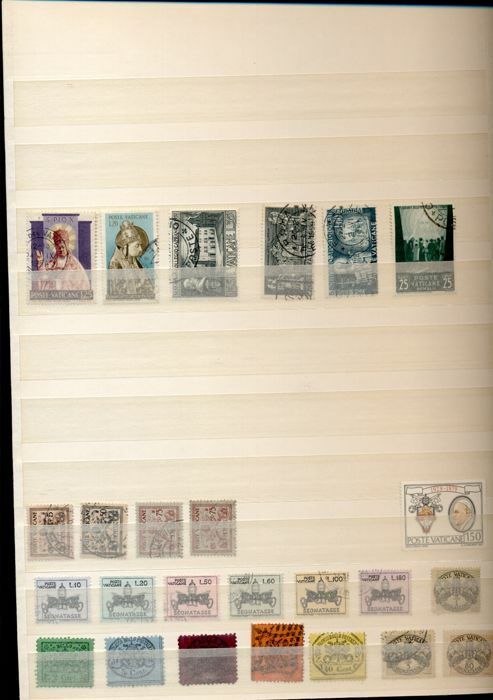 All stamps and FDCs were scanned.